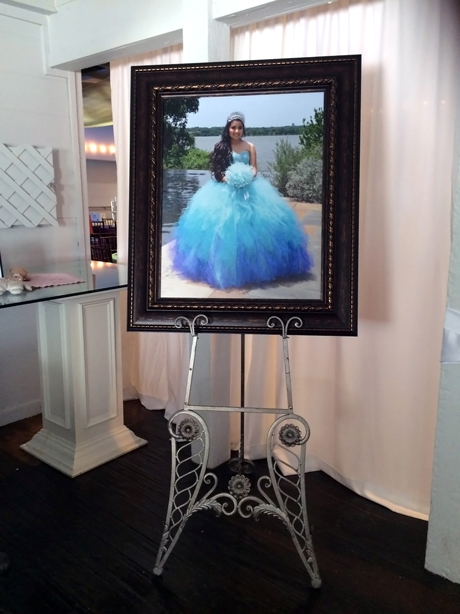 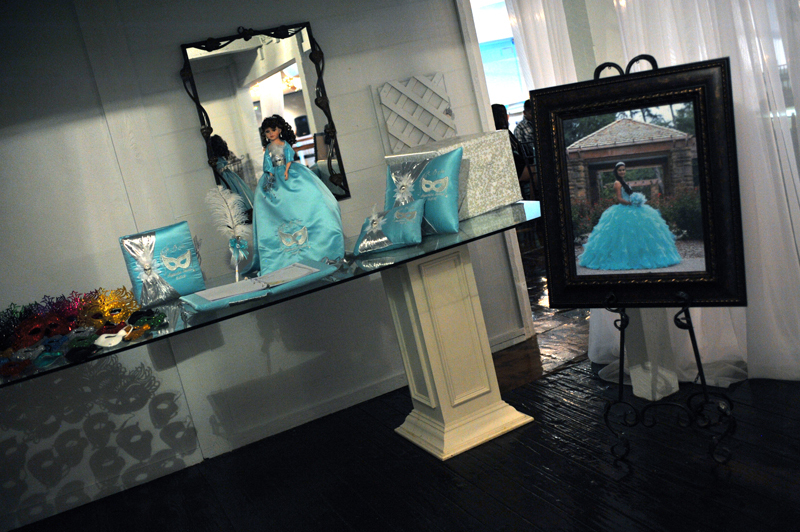 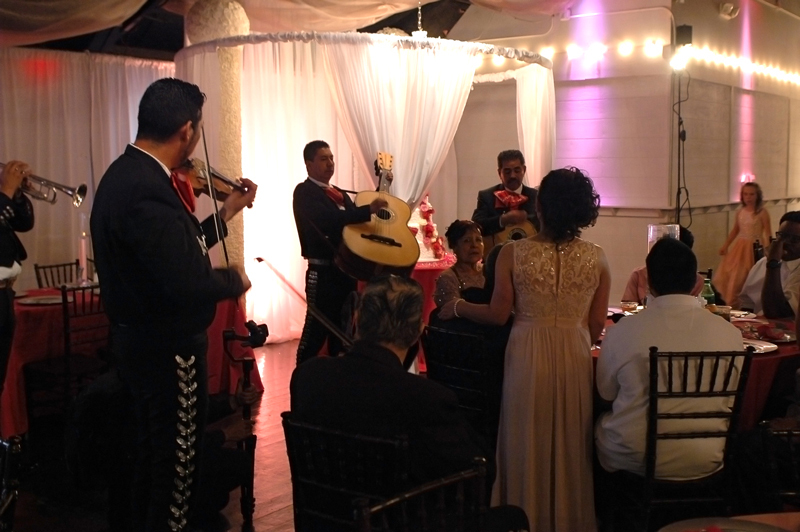 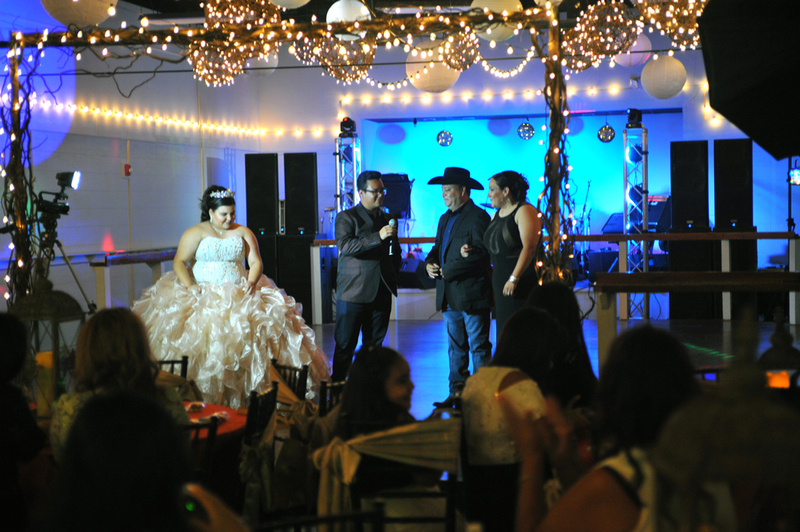 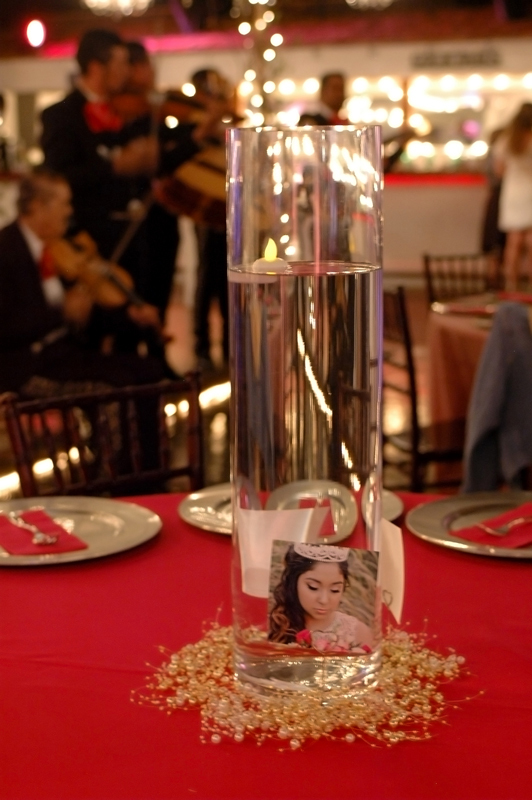 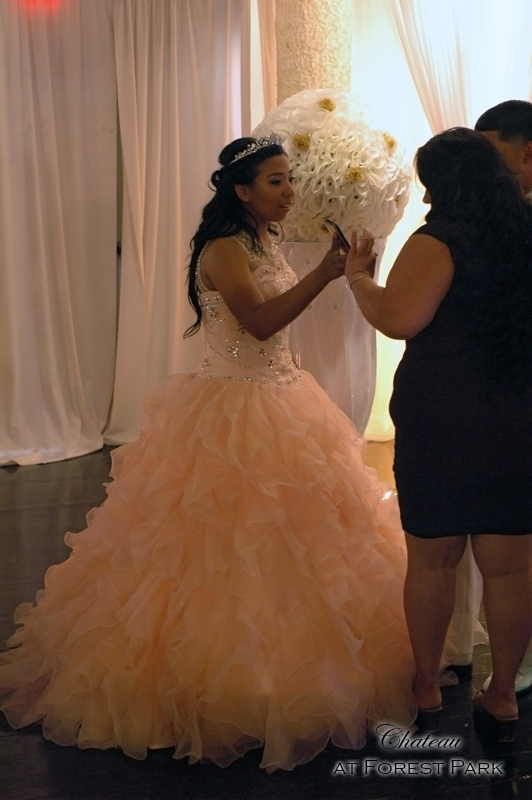 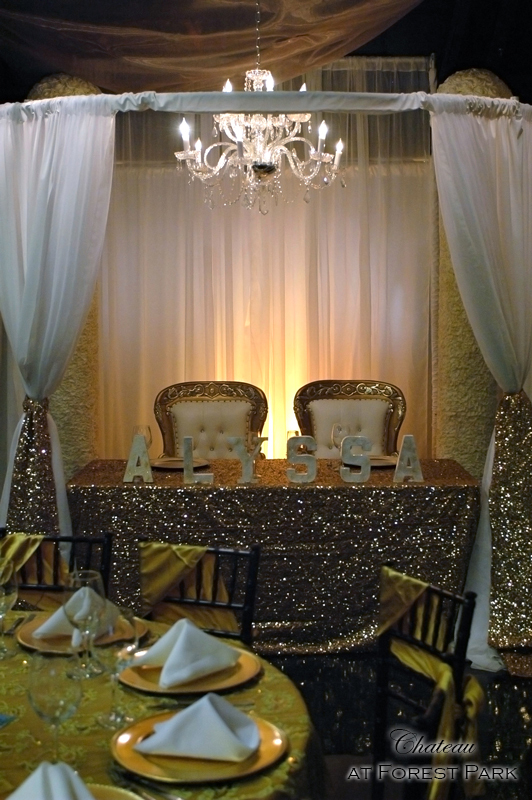 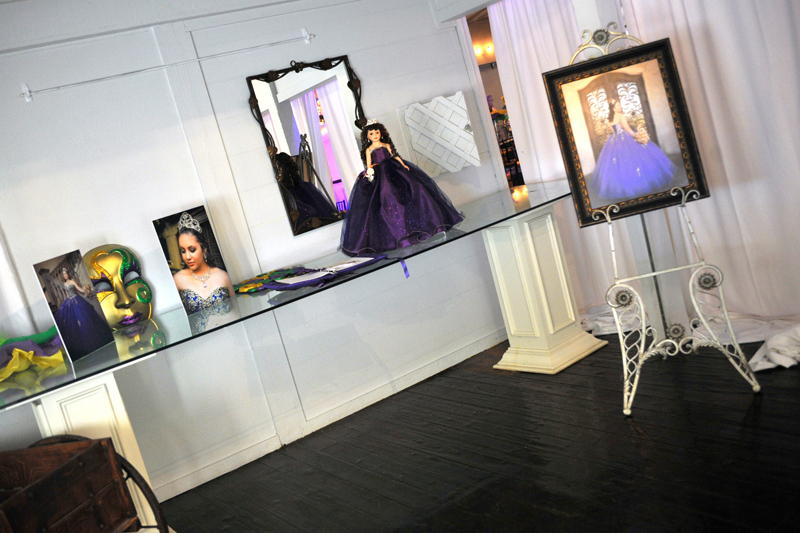 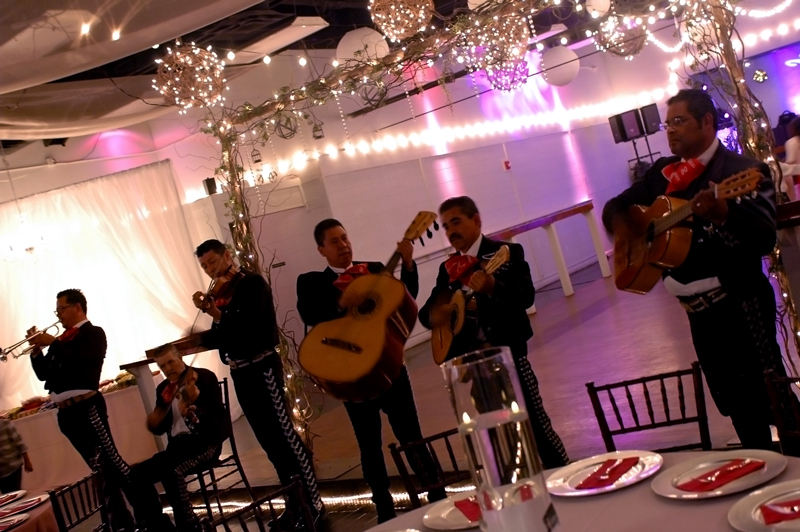 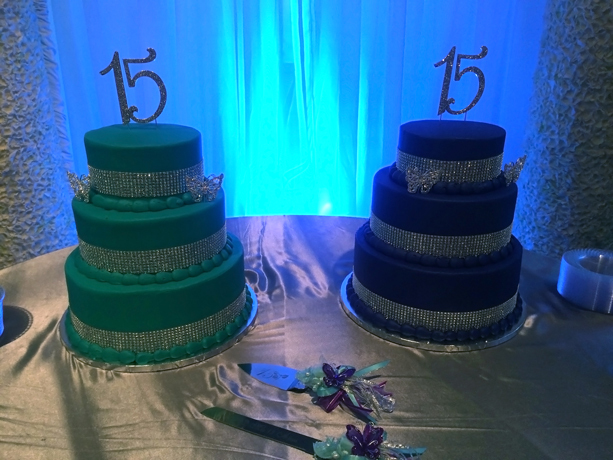 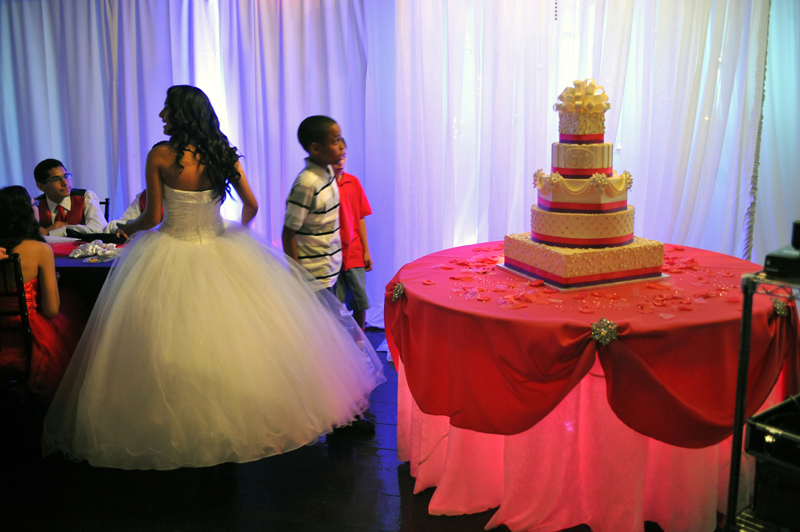 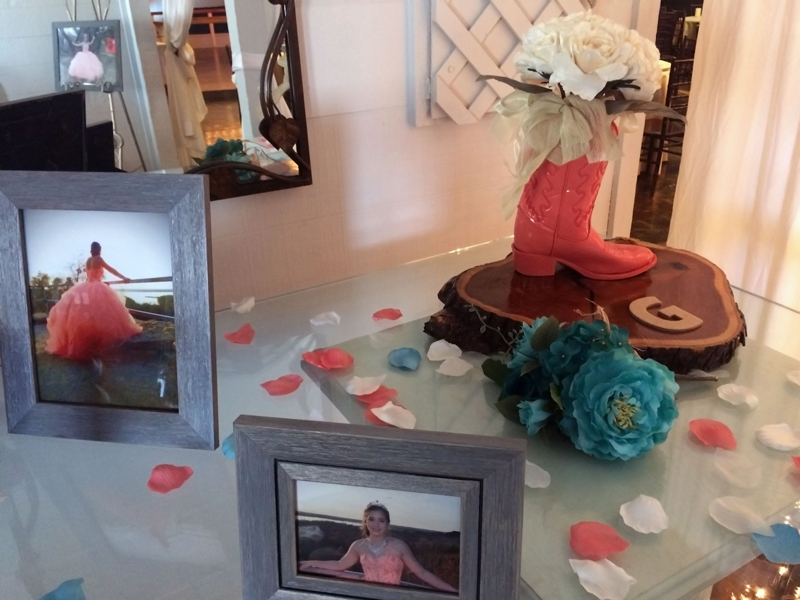 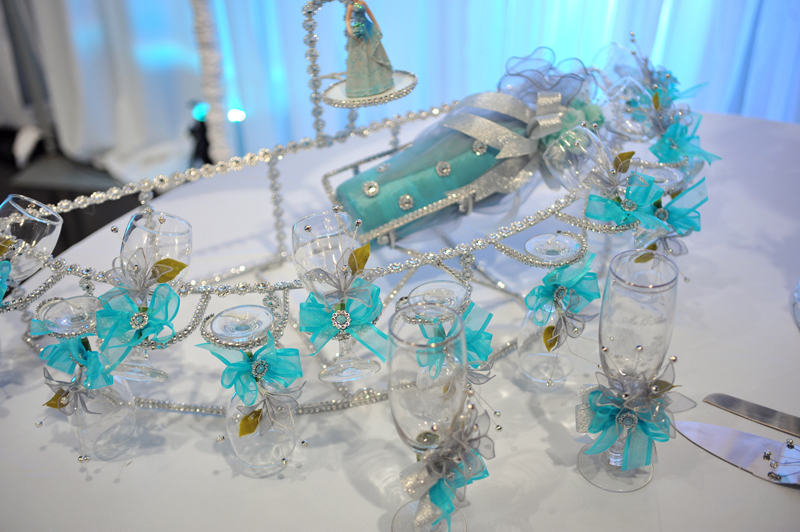 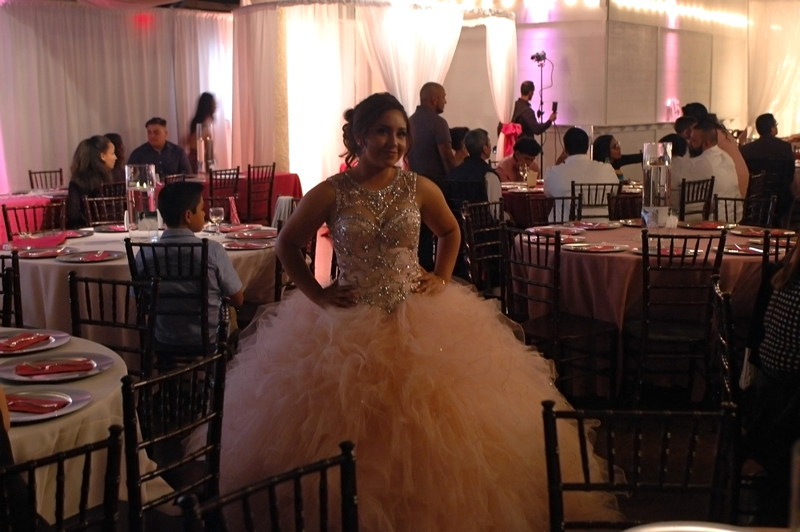 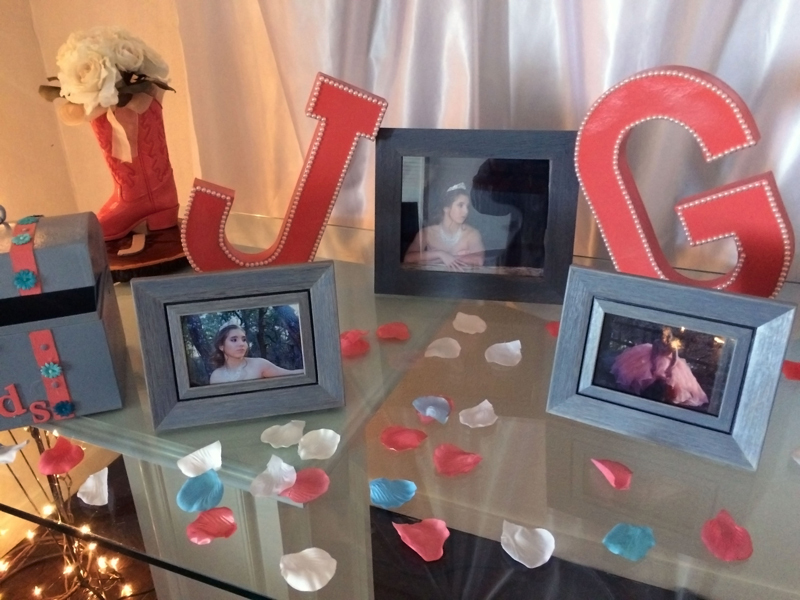 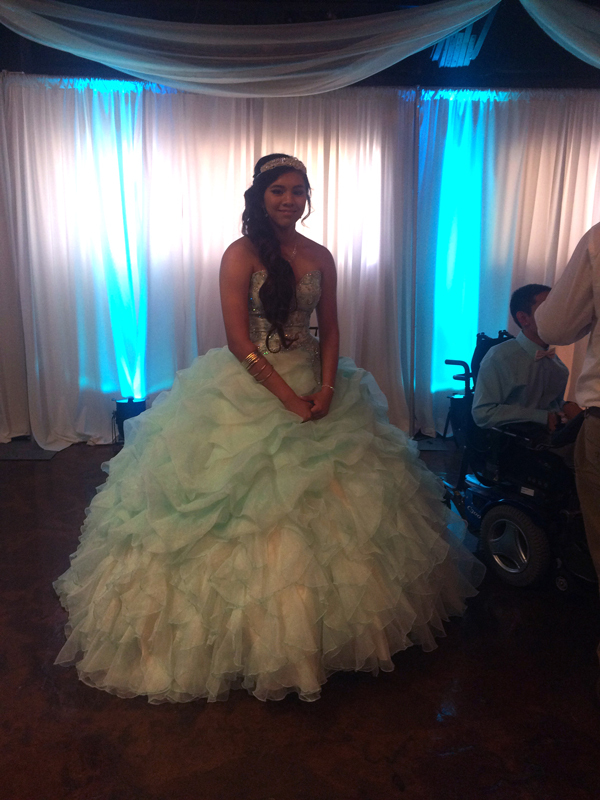 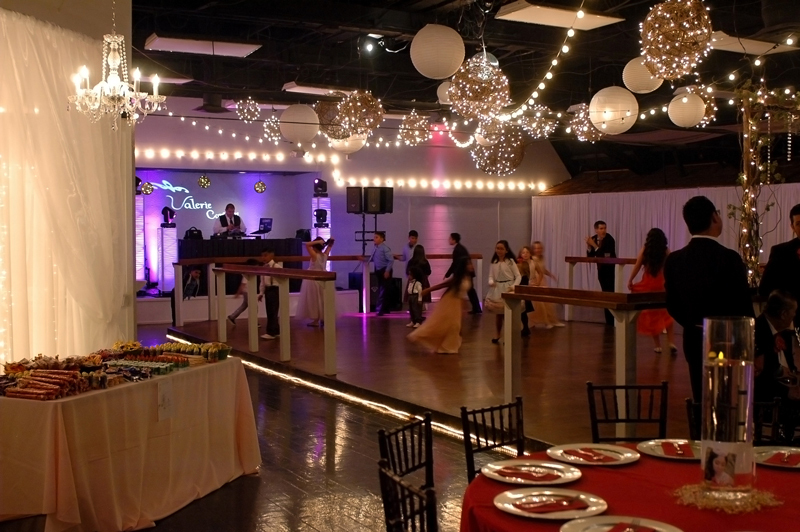 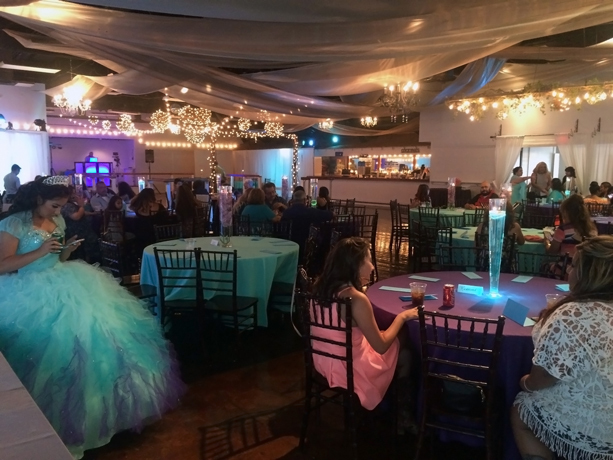 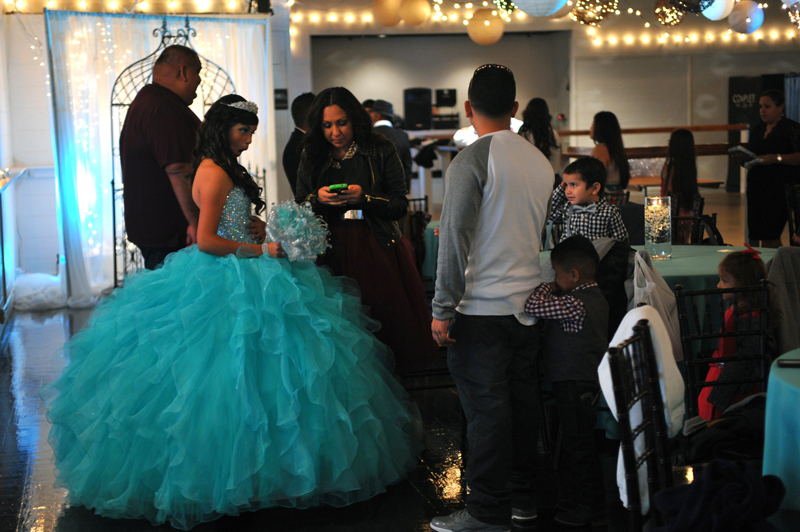 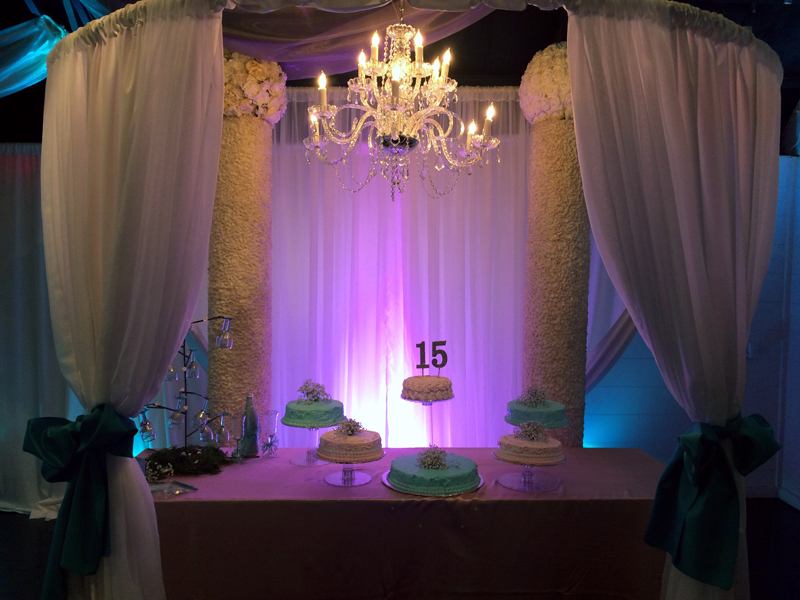 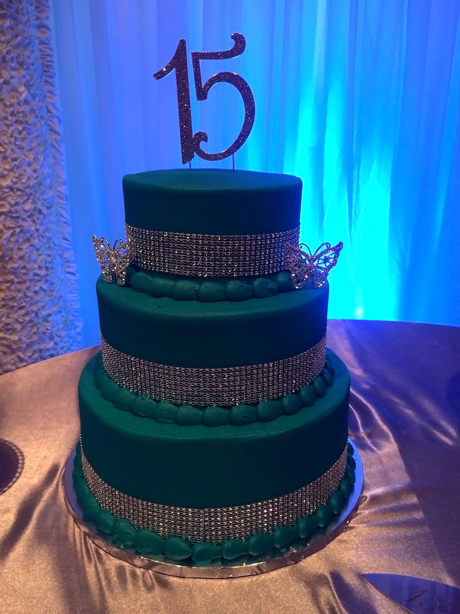 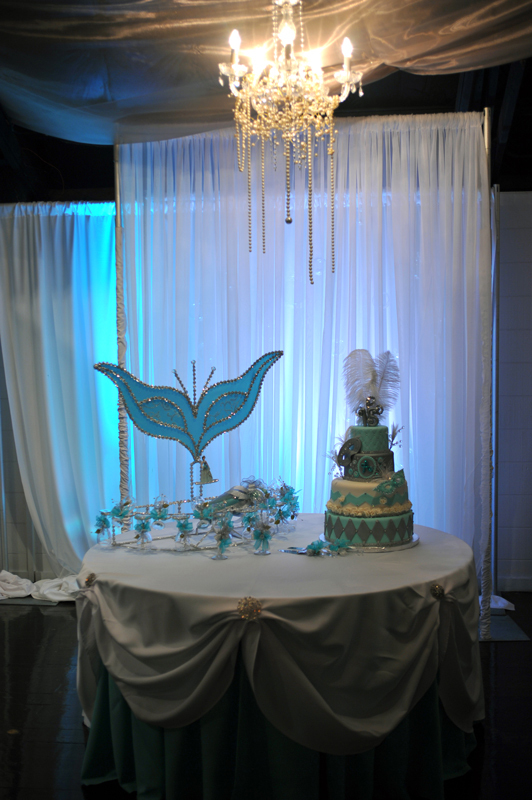 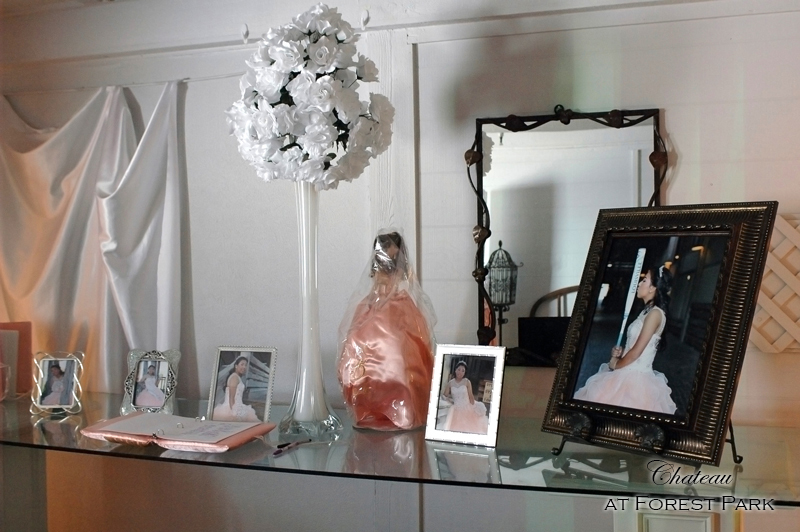 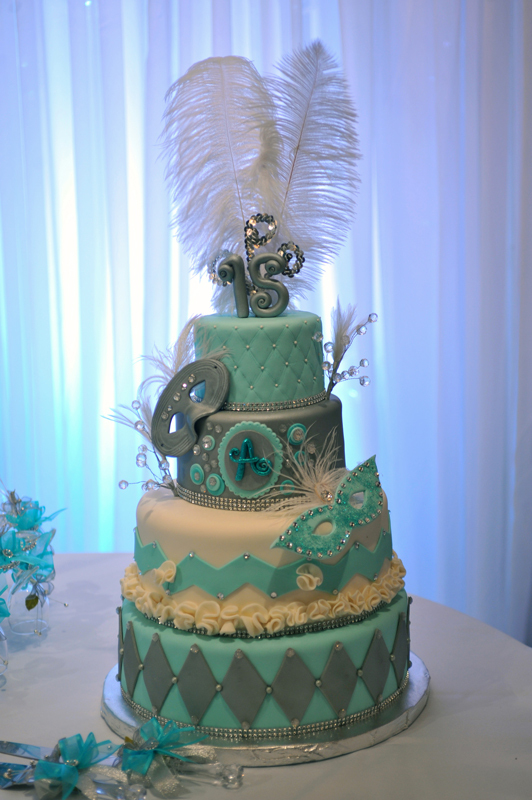 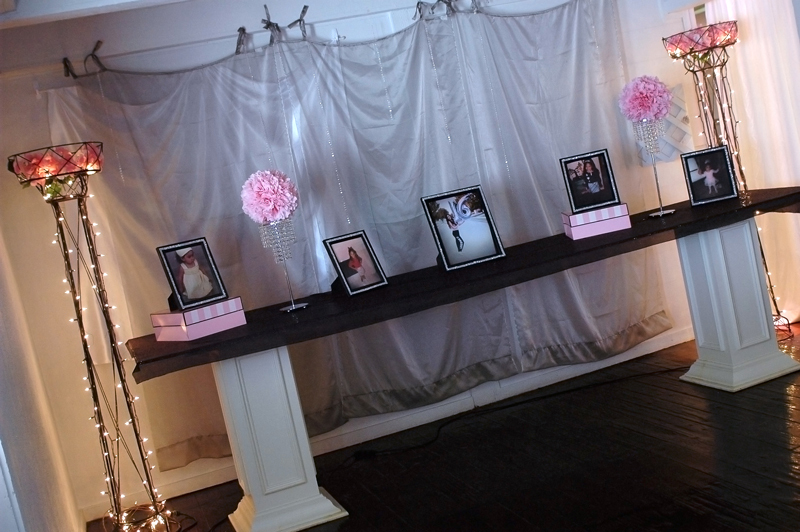 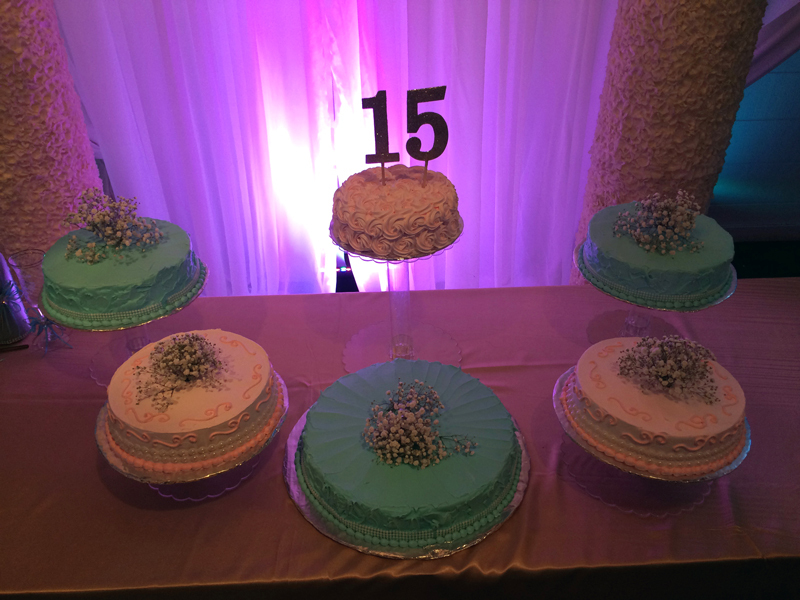 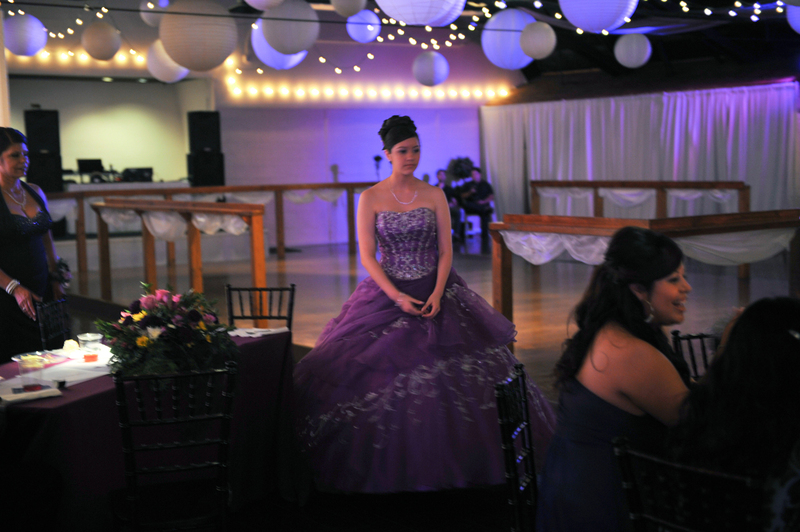 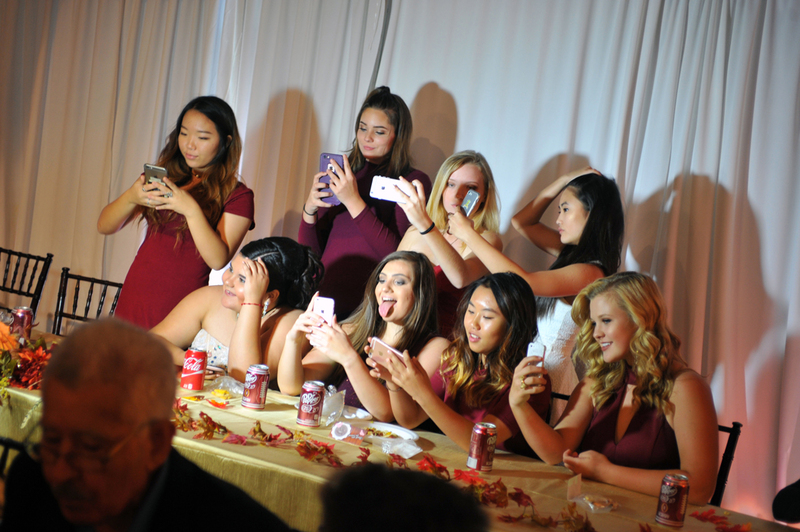 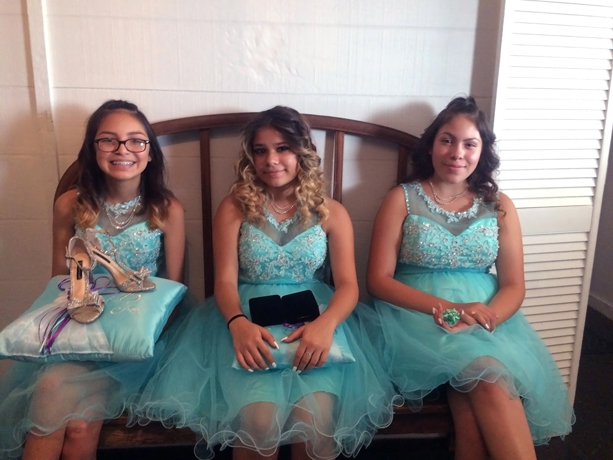 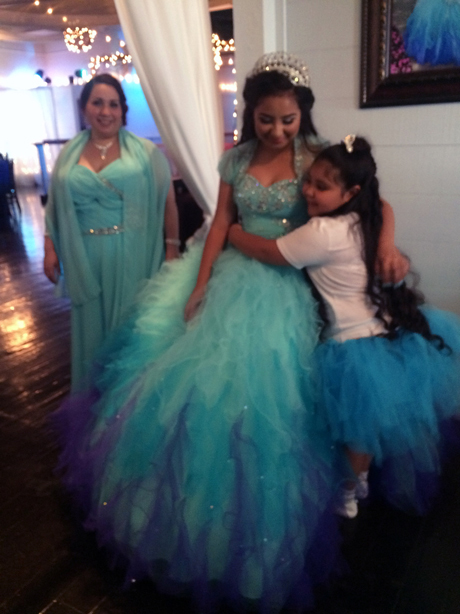 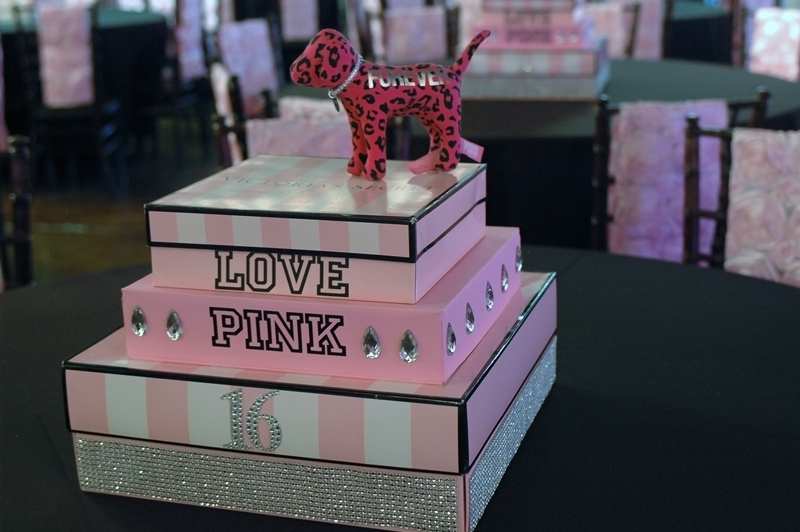 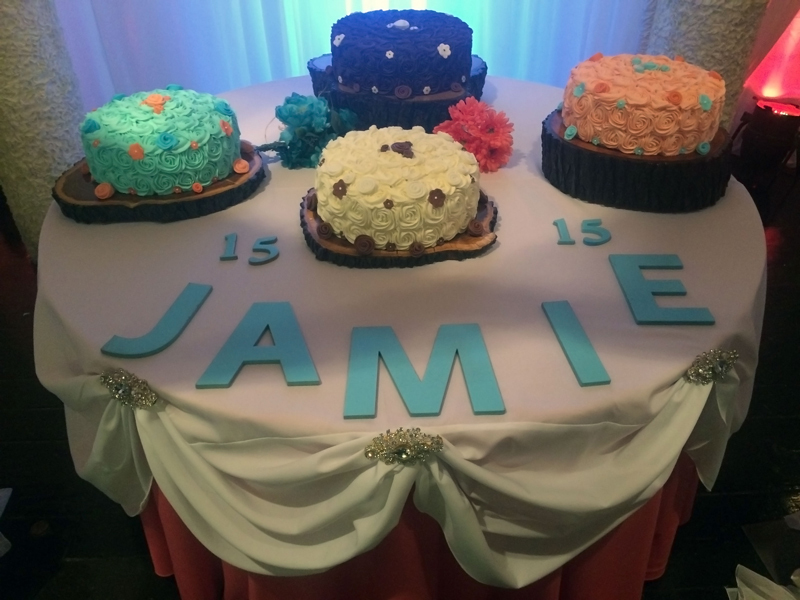 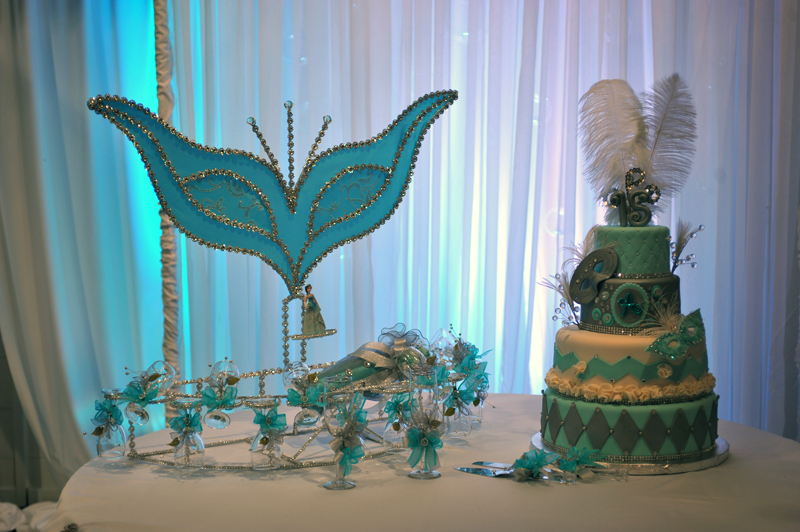 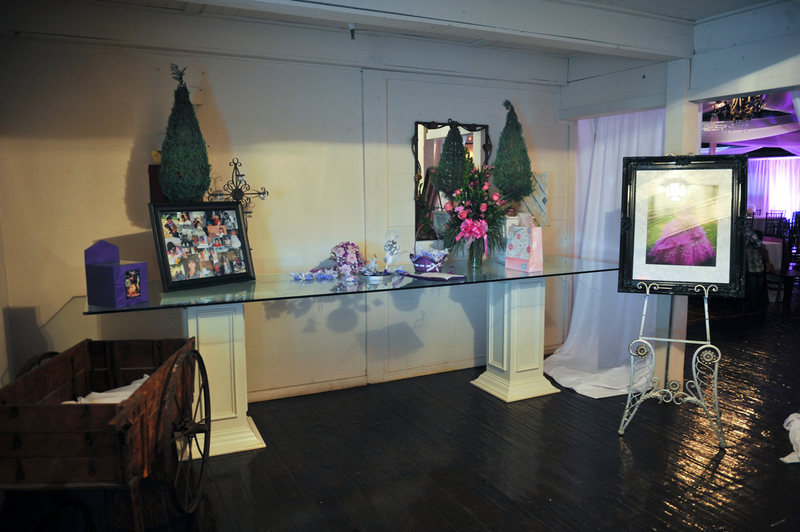 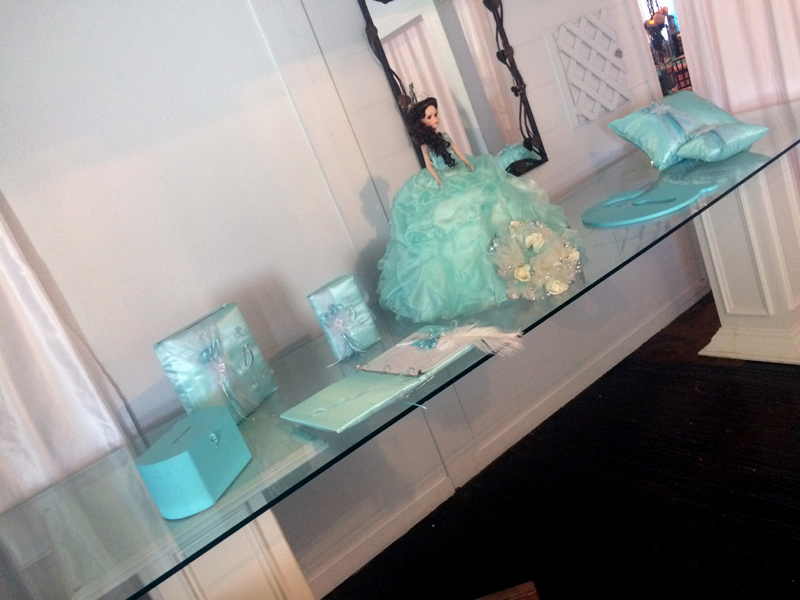 Quinceanera Reception Photo Gallery - Beautiful Quinceaneras and more - Decorated with rustic elegance. 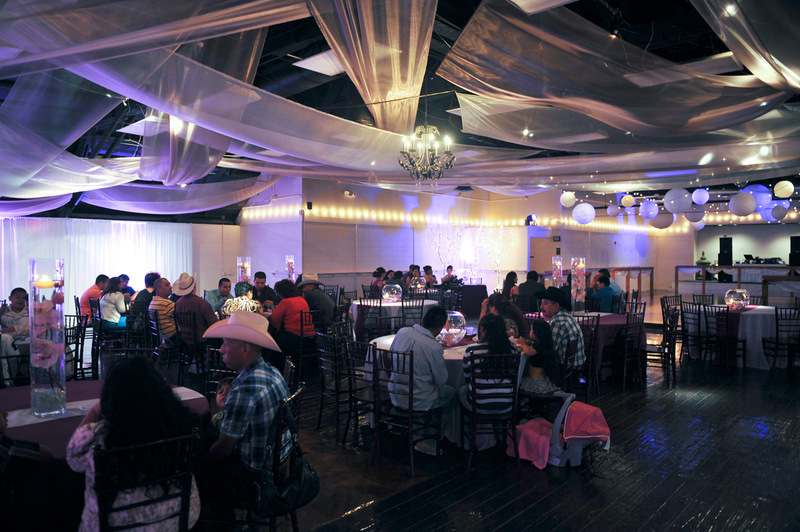 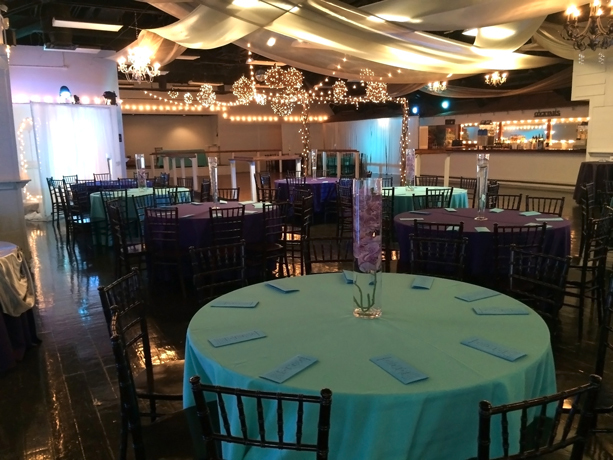 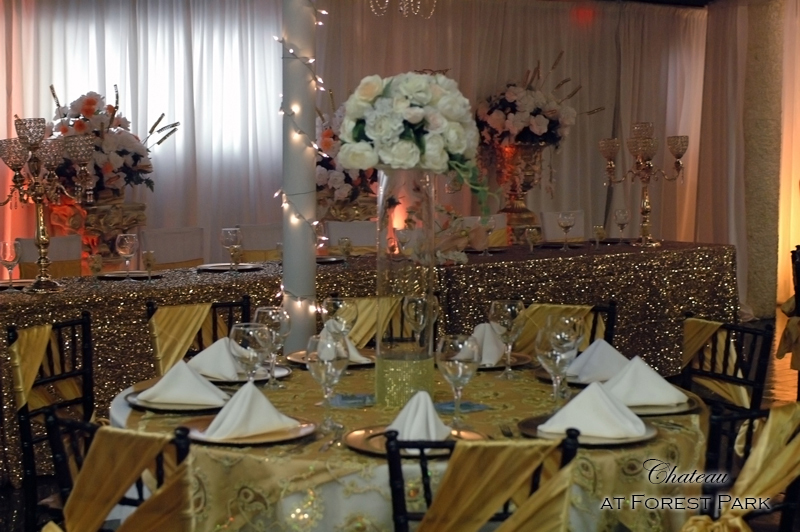 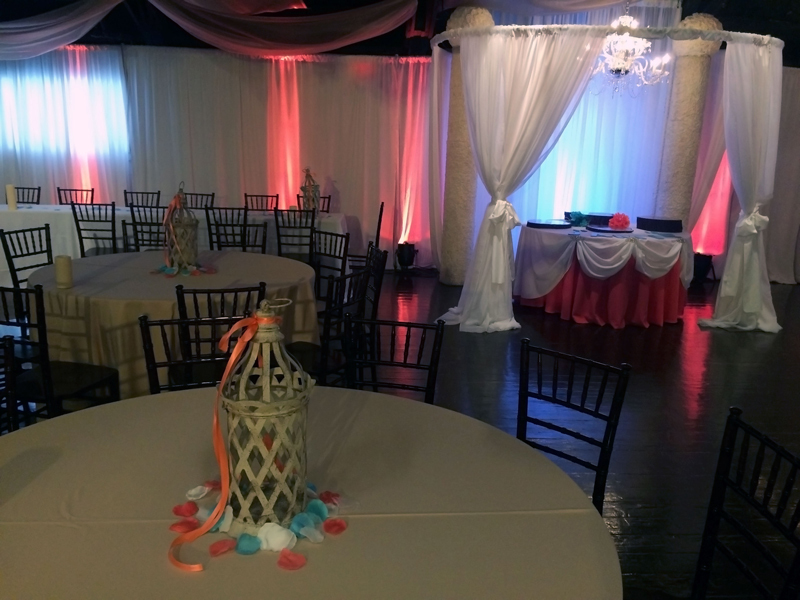 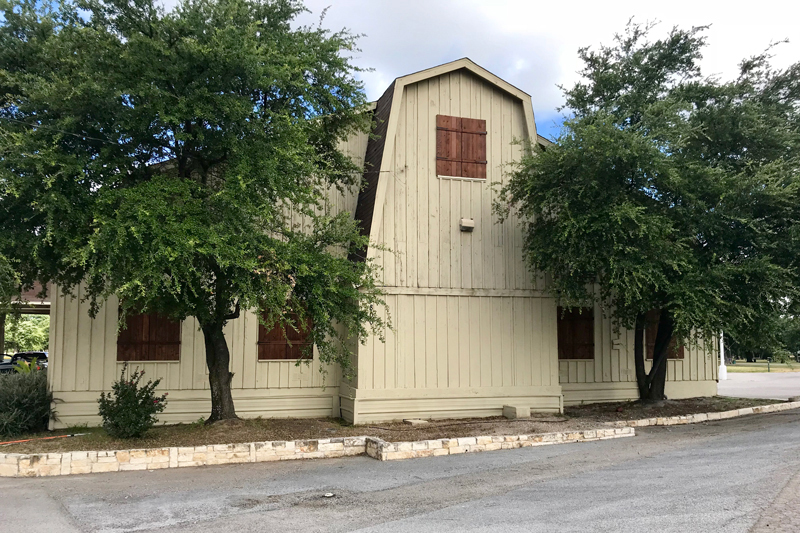 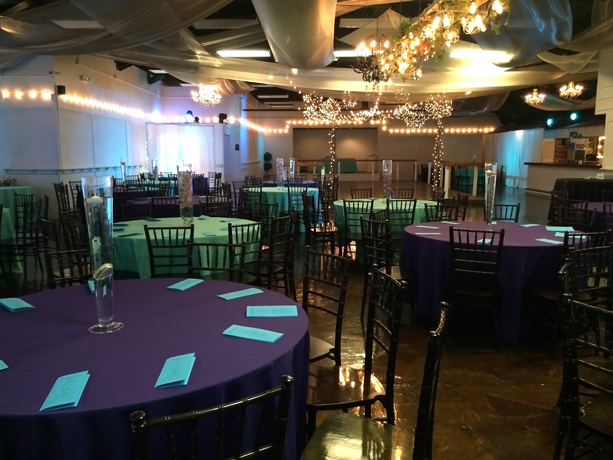 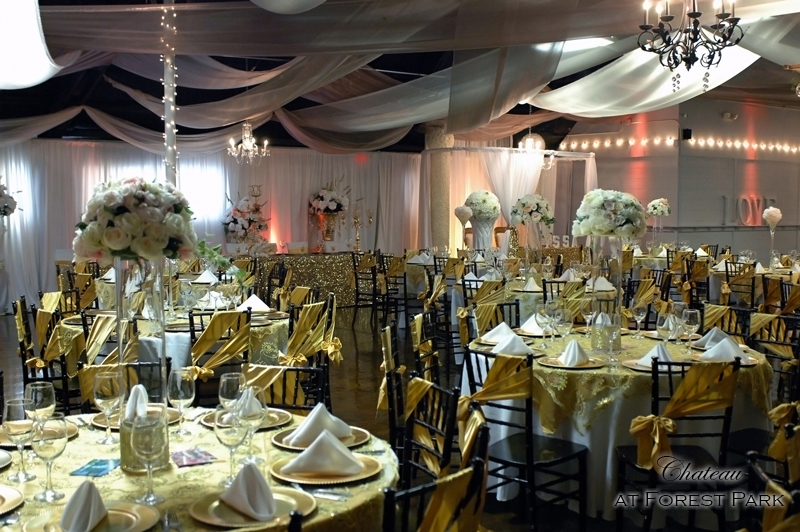 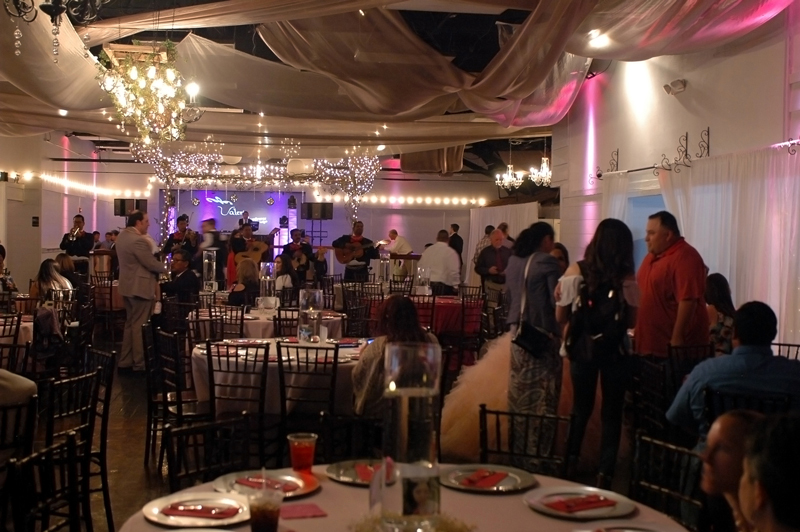 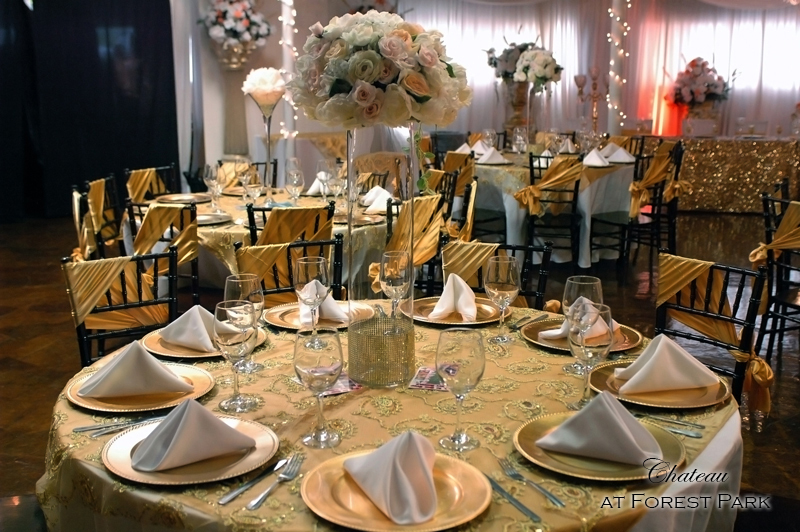 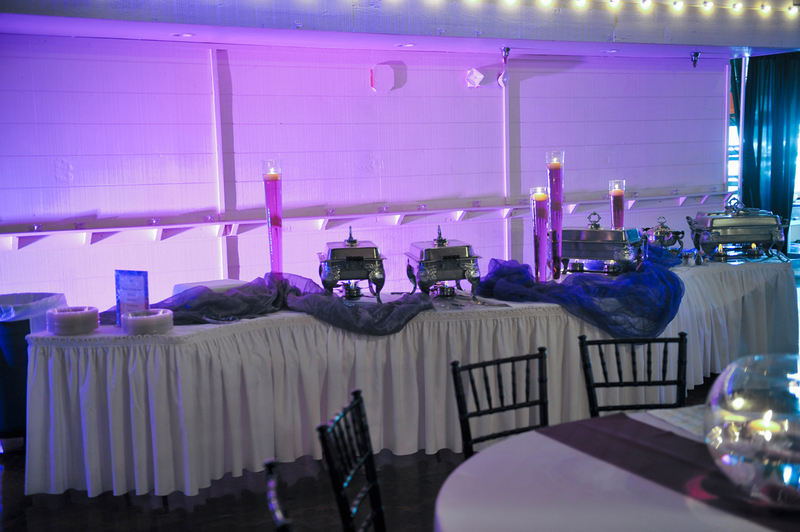 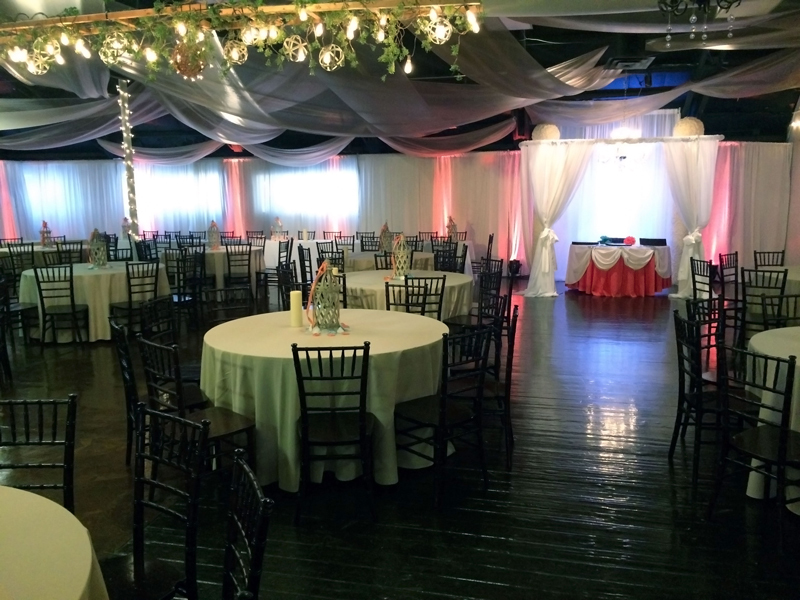 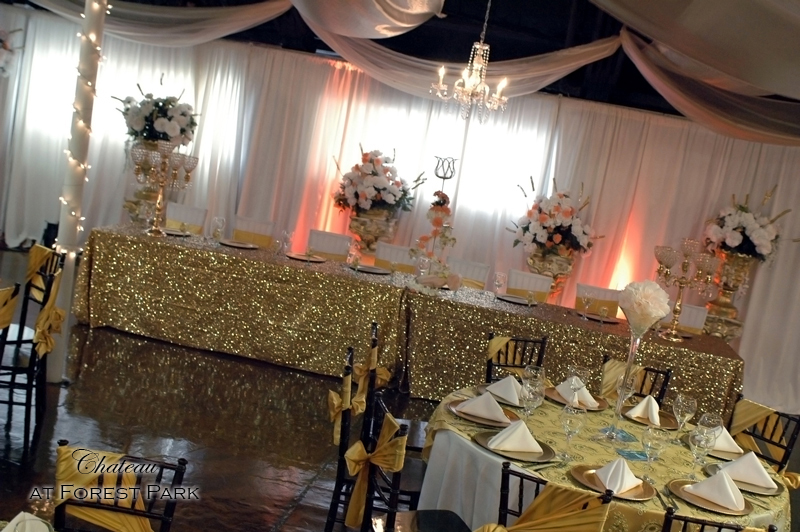 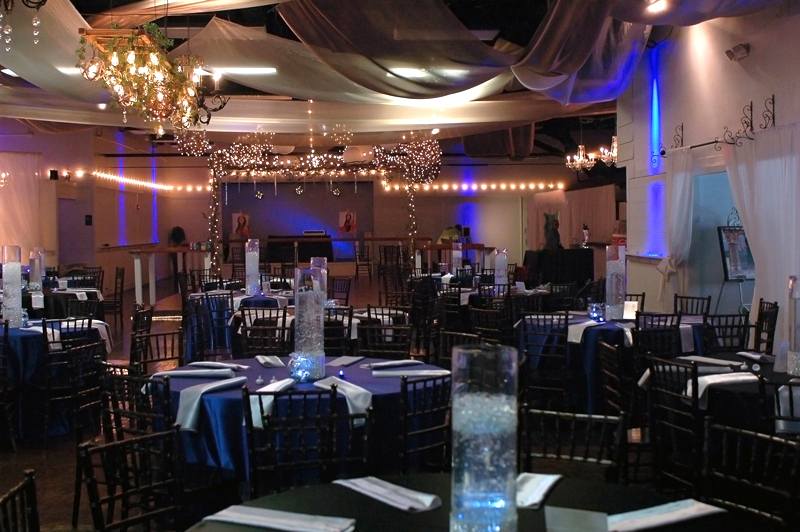 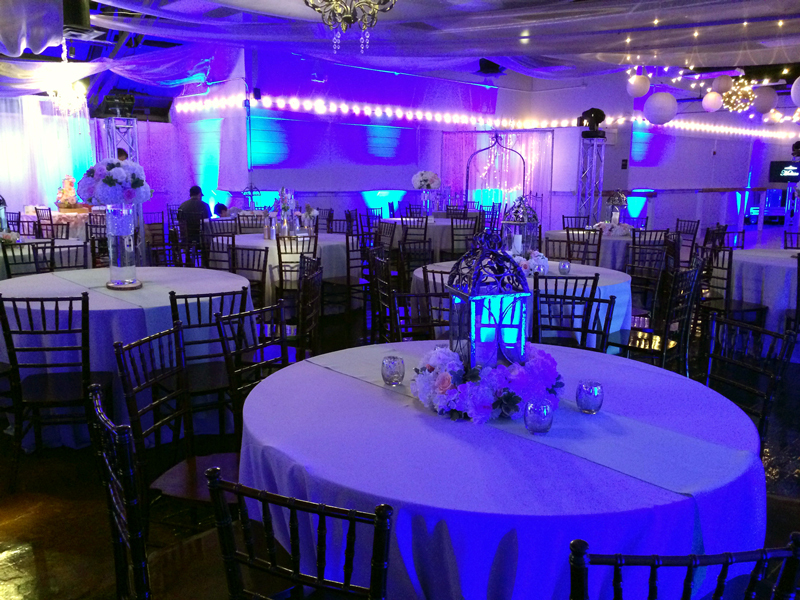 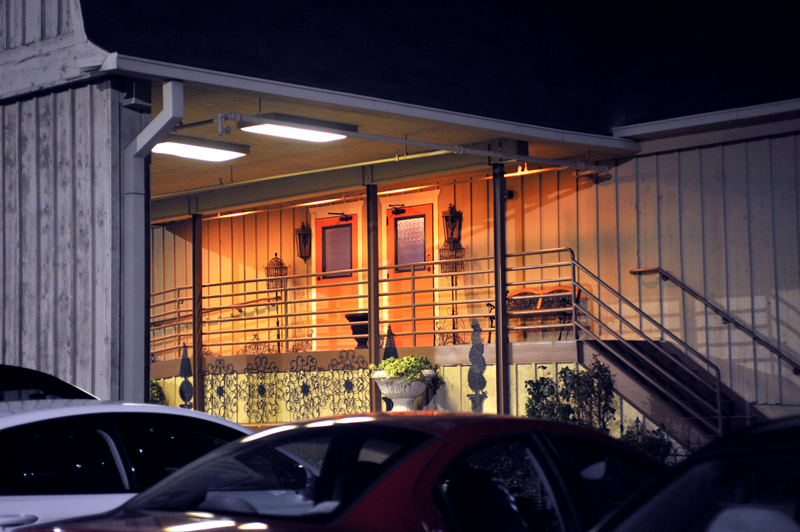 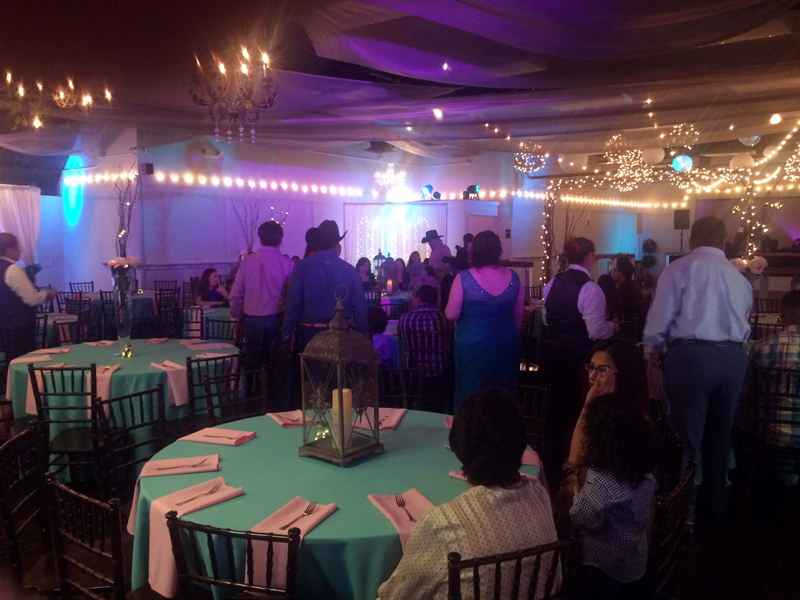 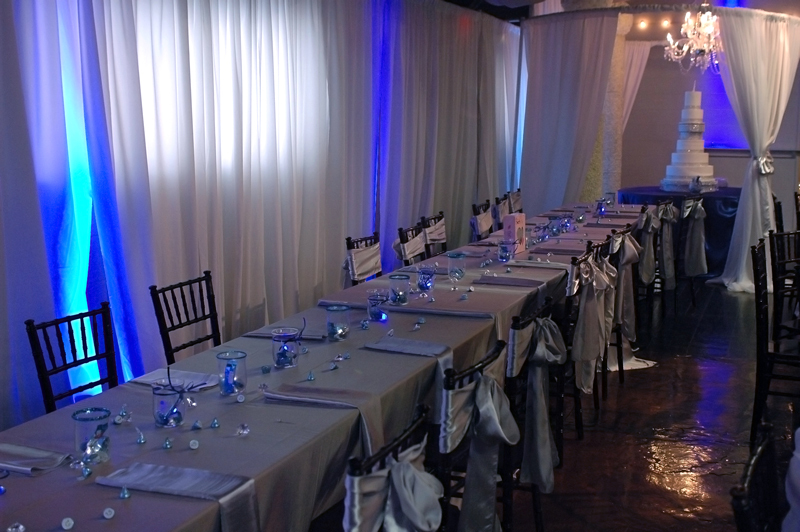 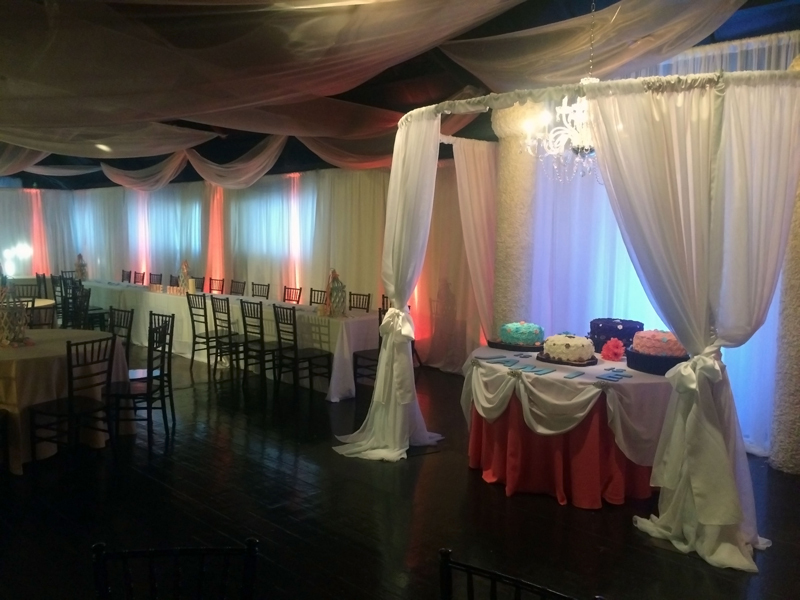 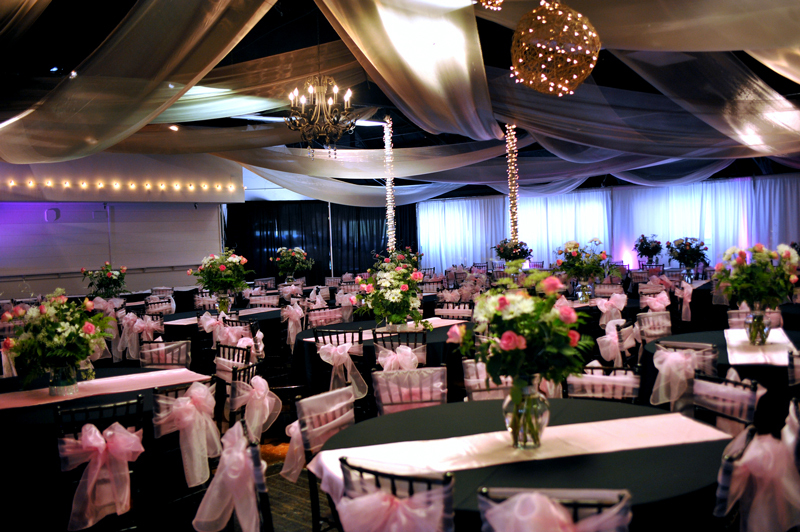 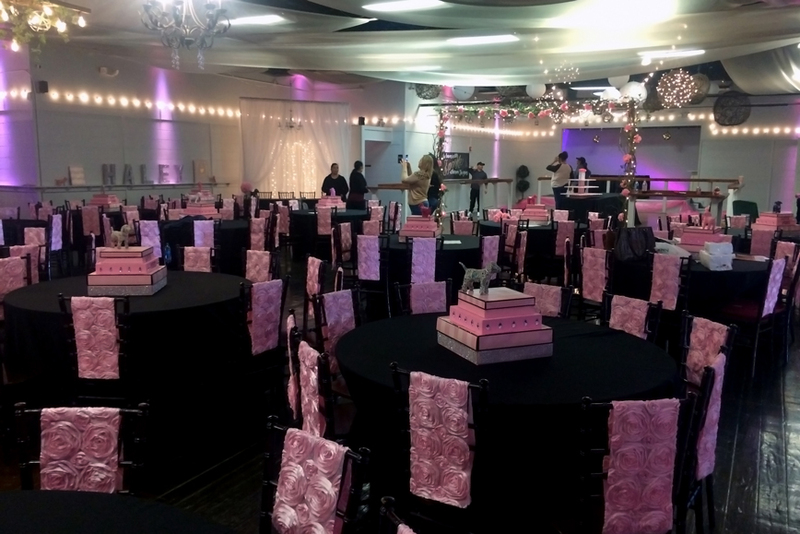 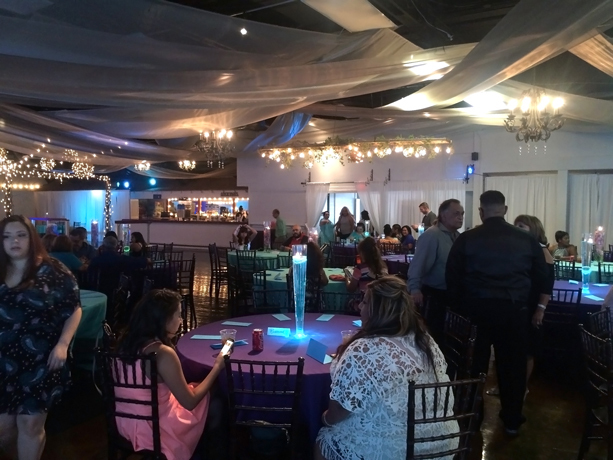 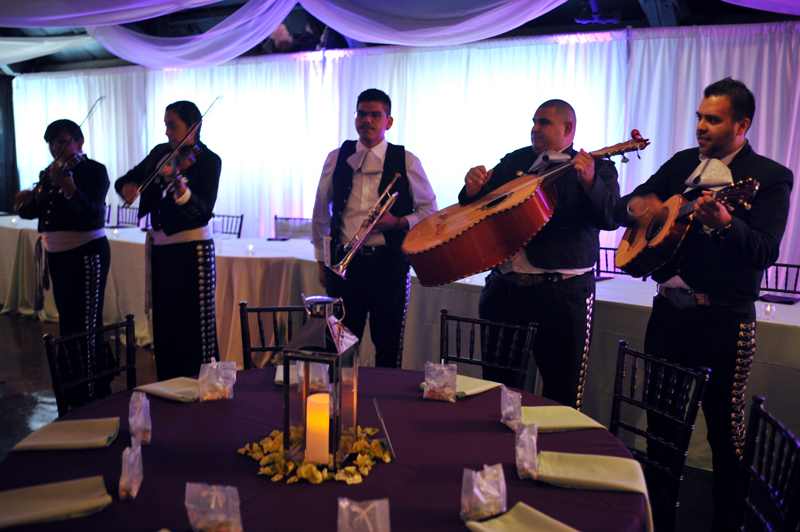 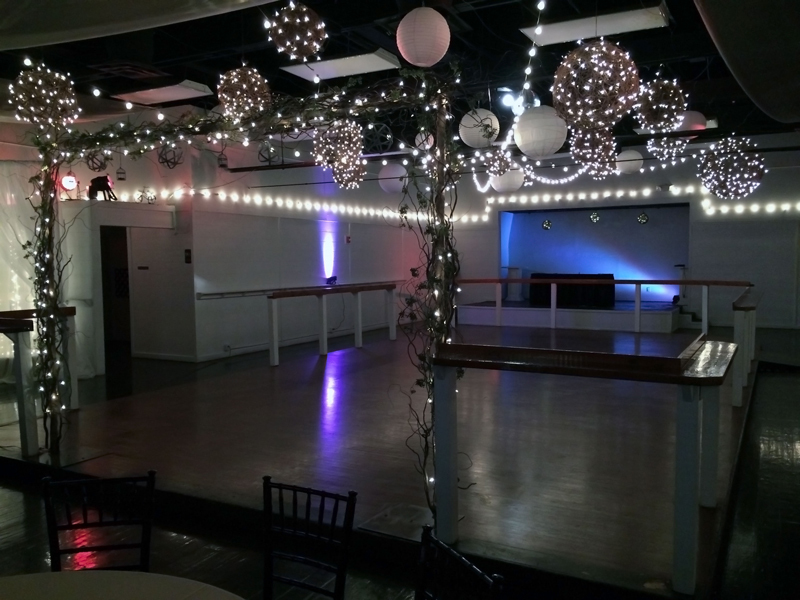 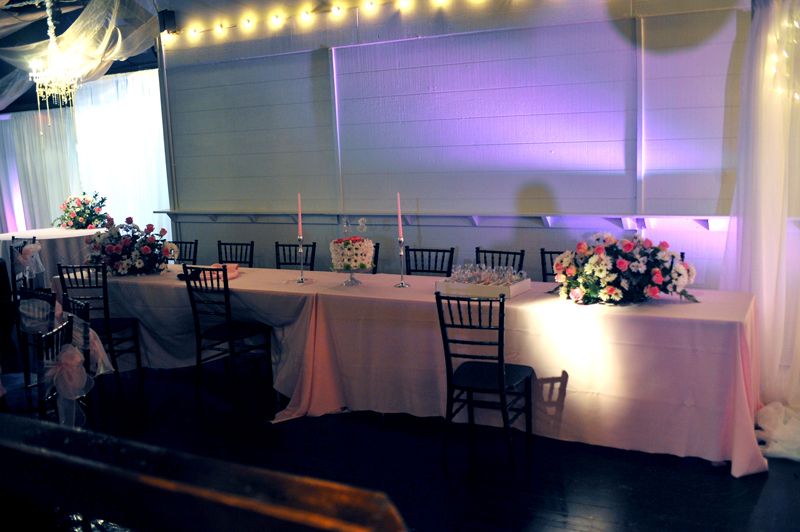 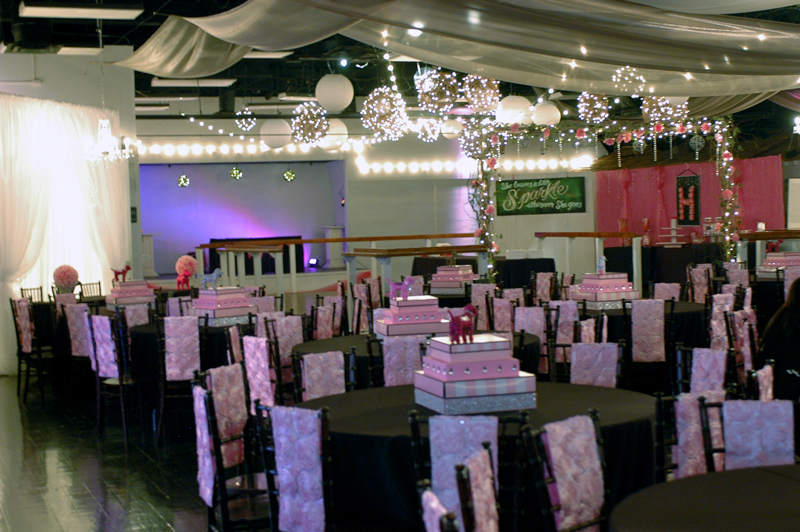 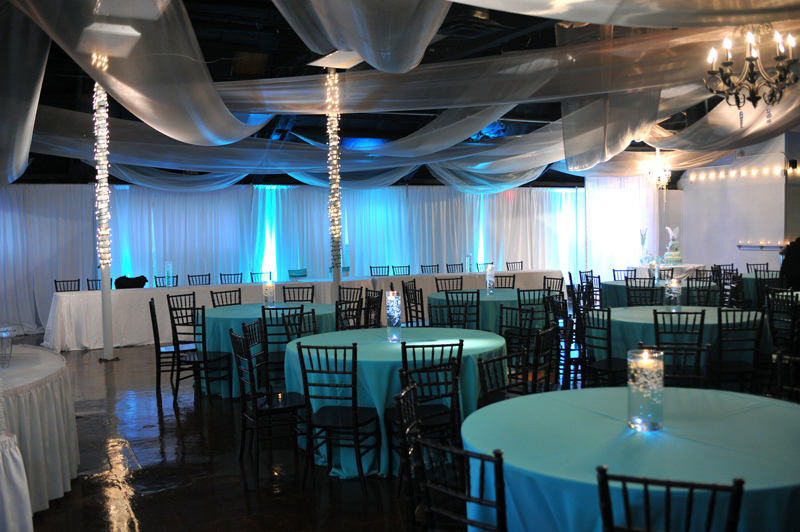 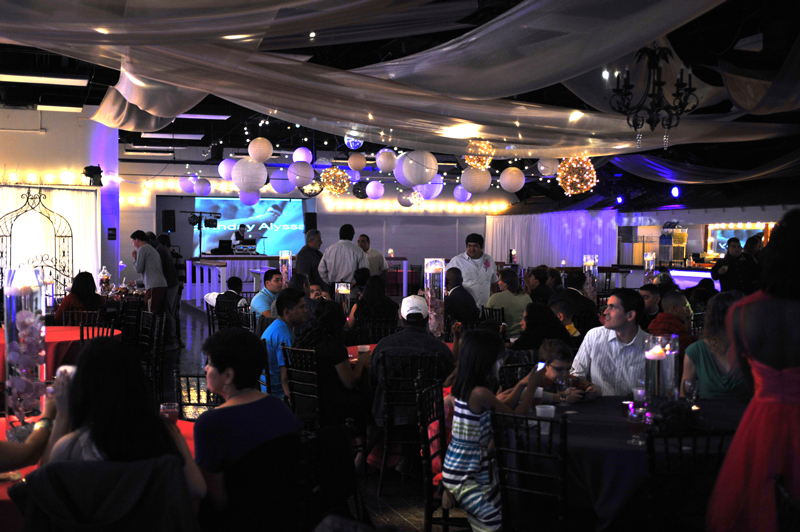 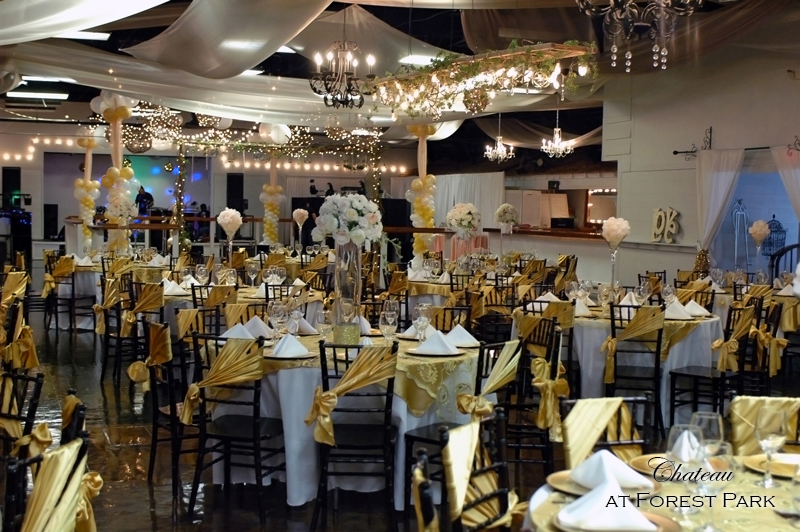 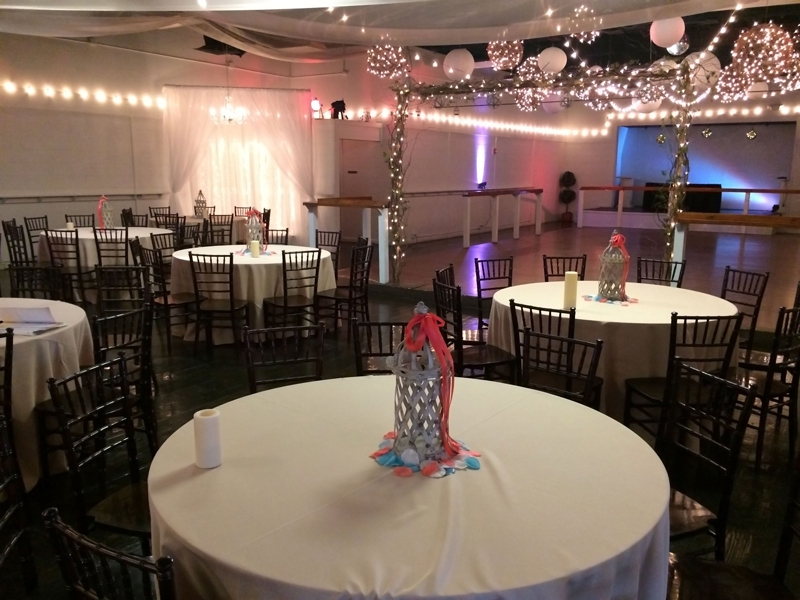 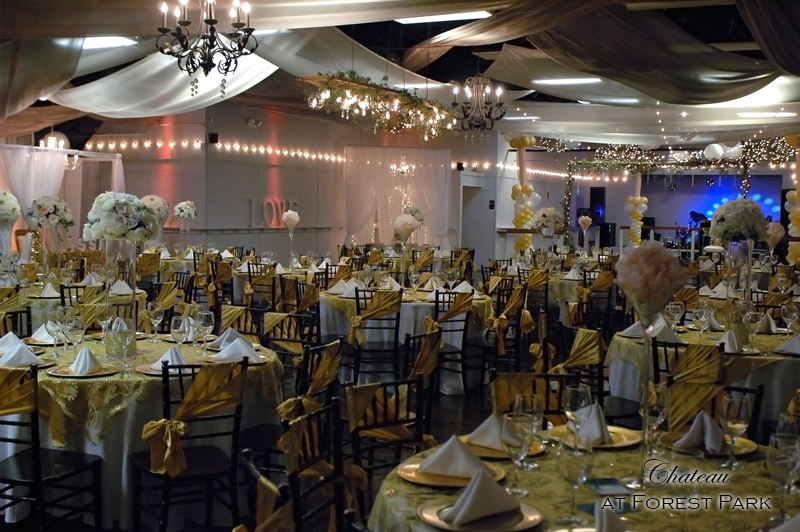 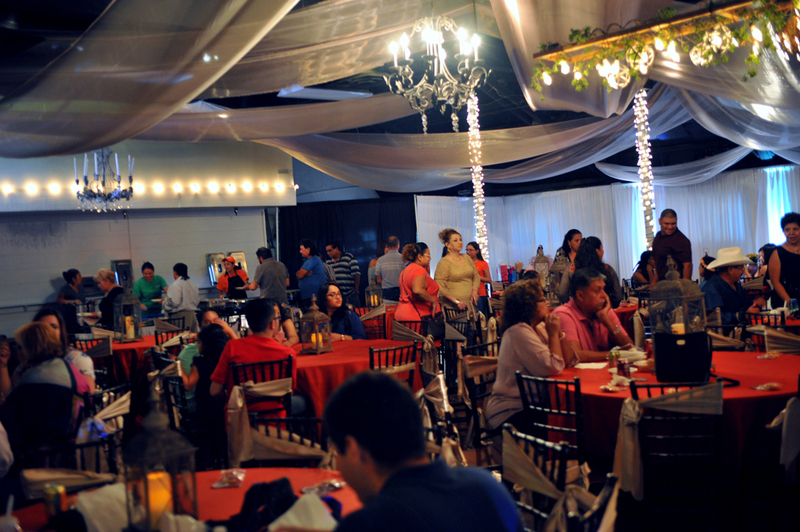 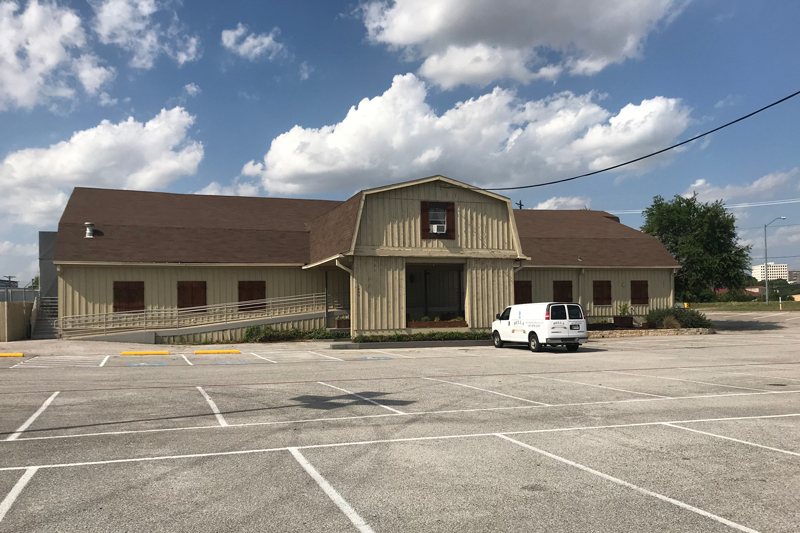 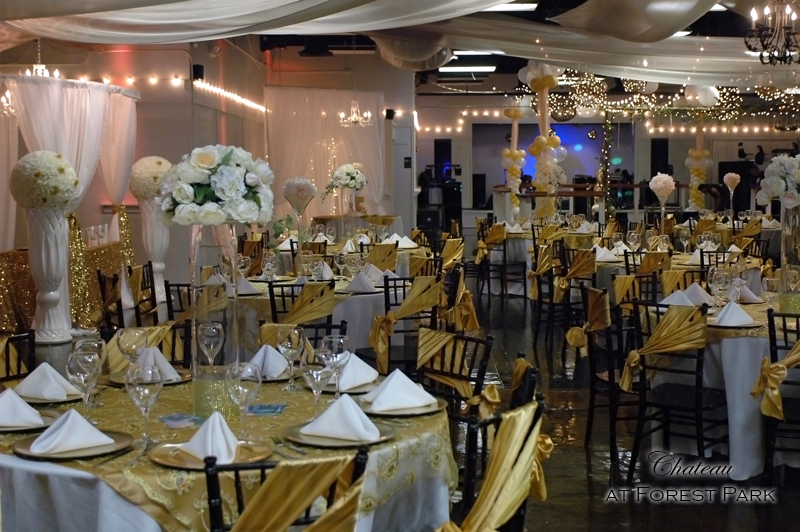 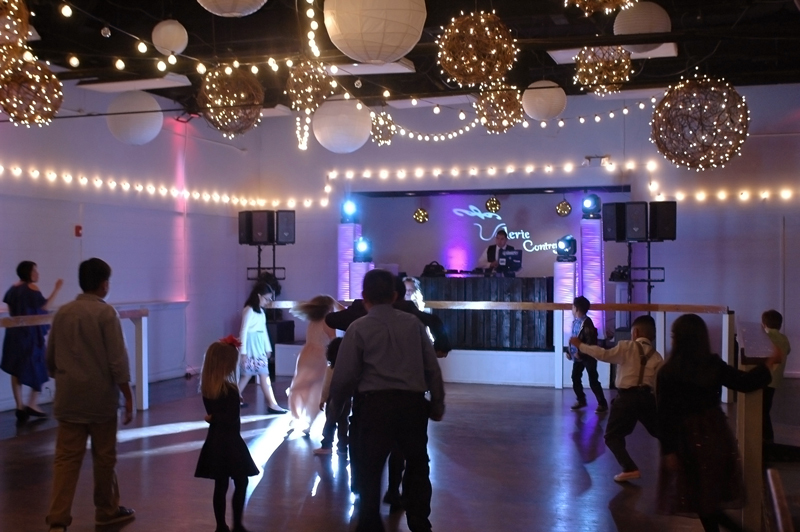 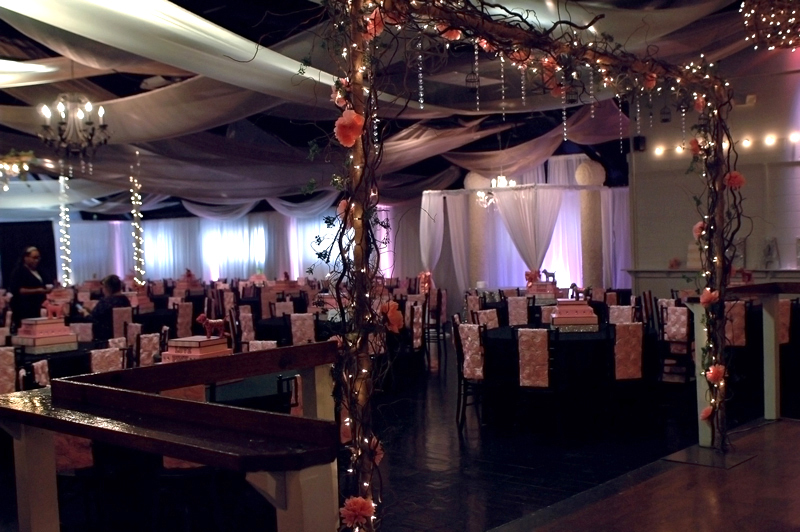 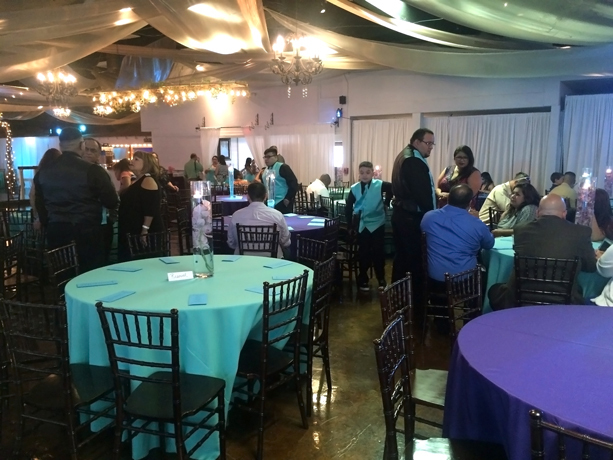 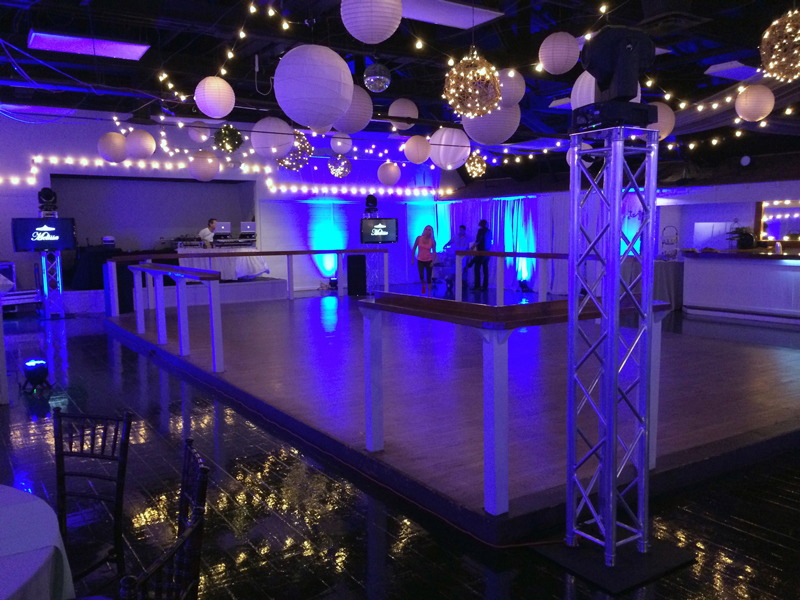 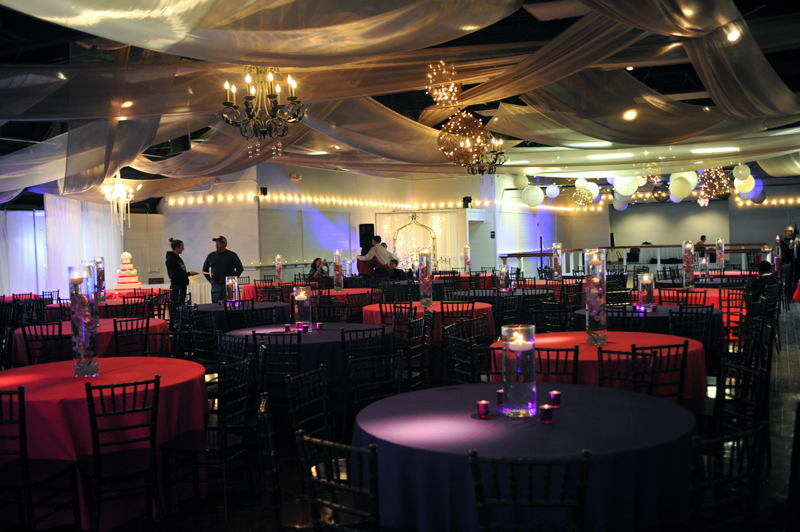 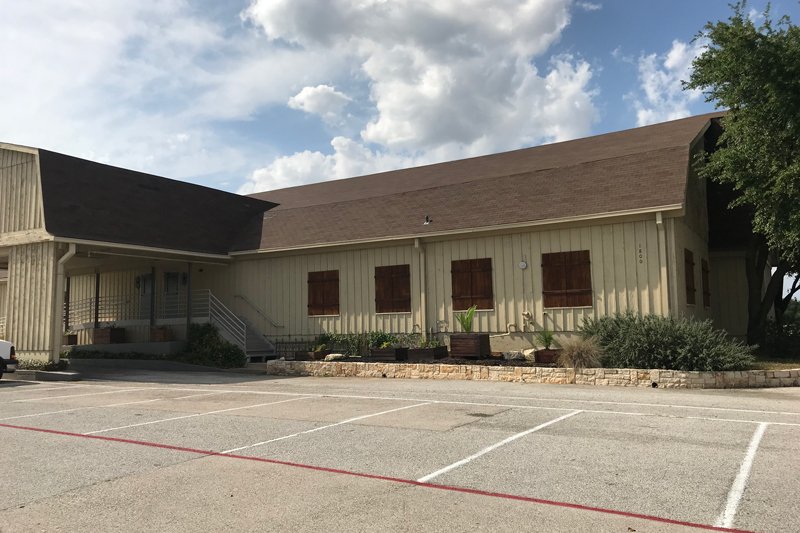 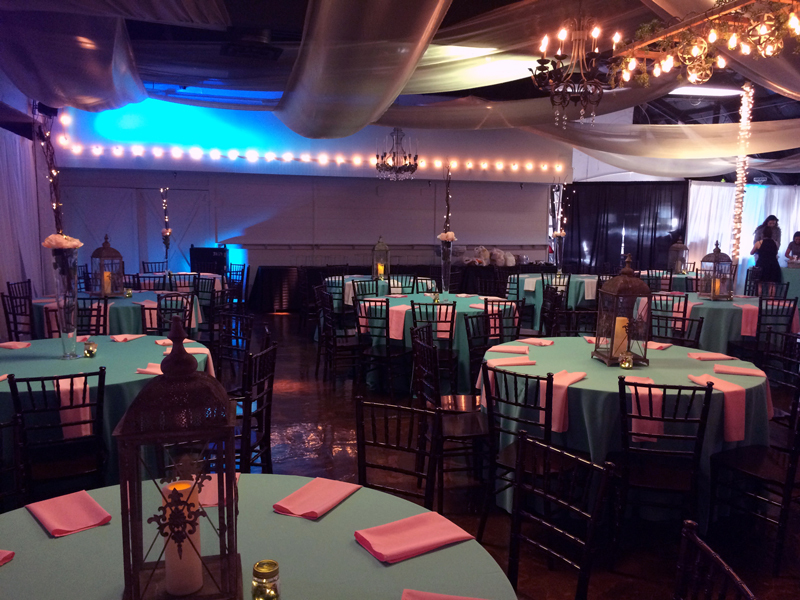 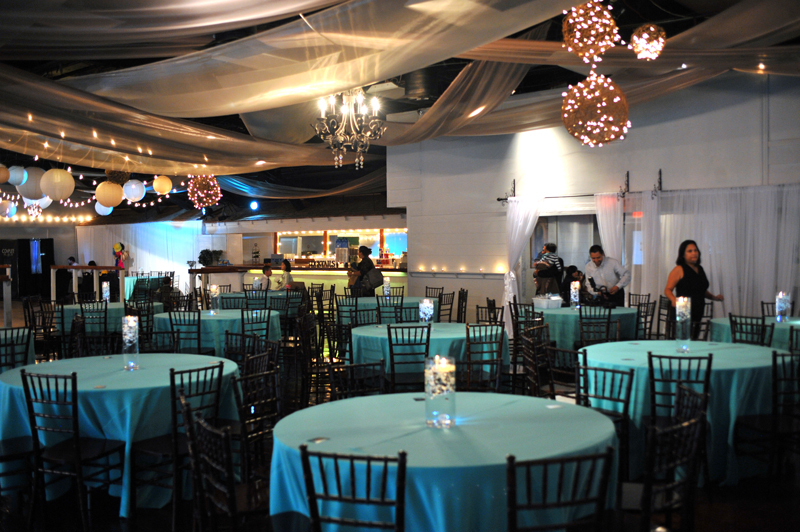 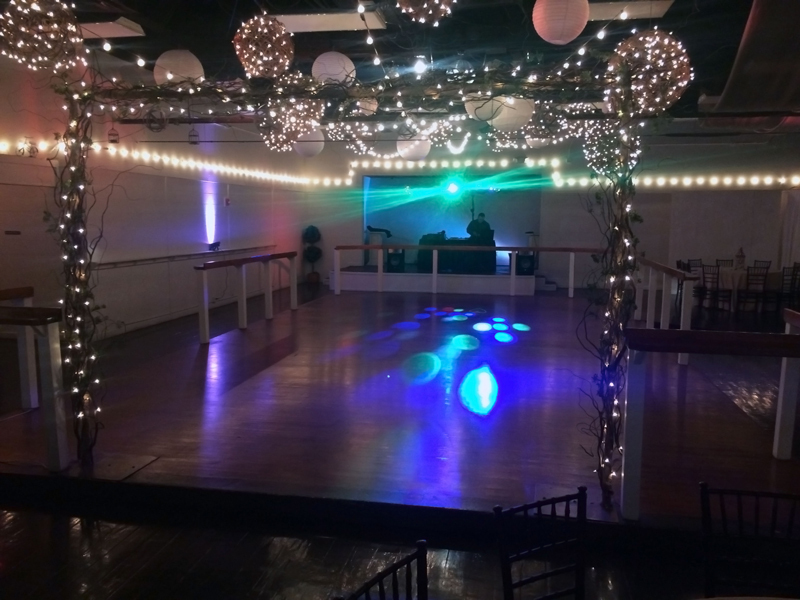 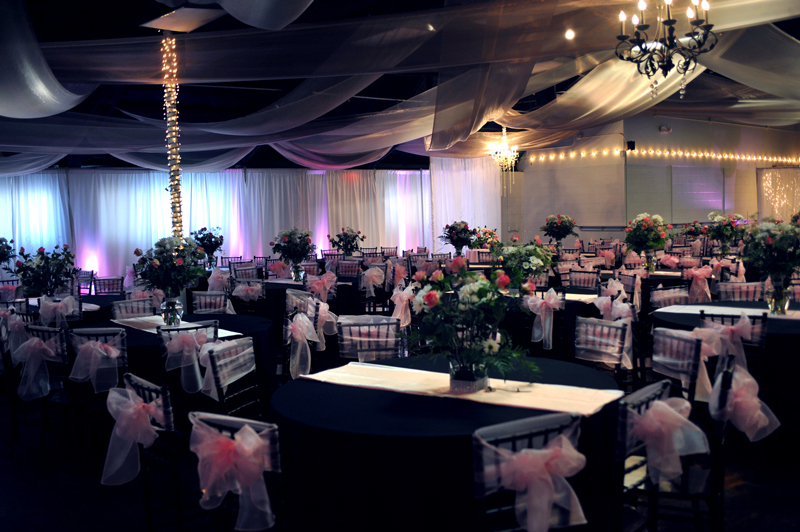 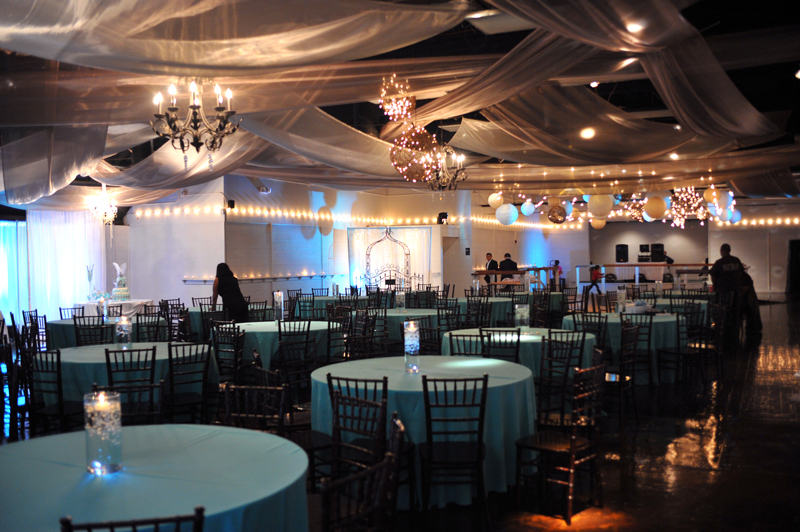 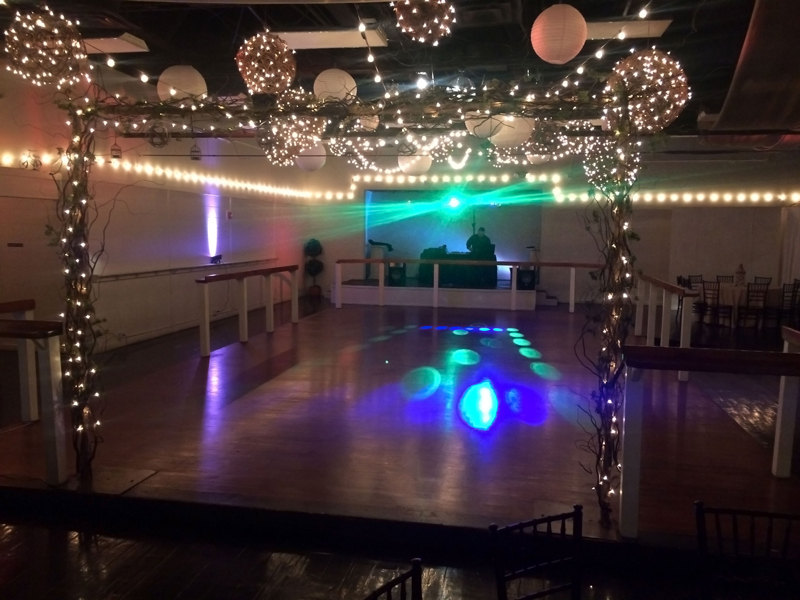 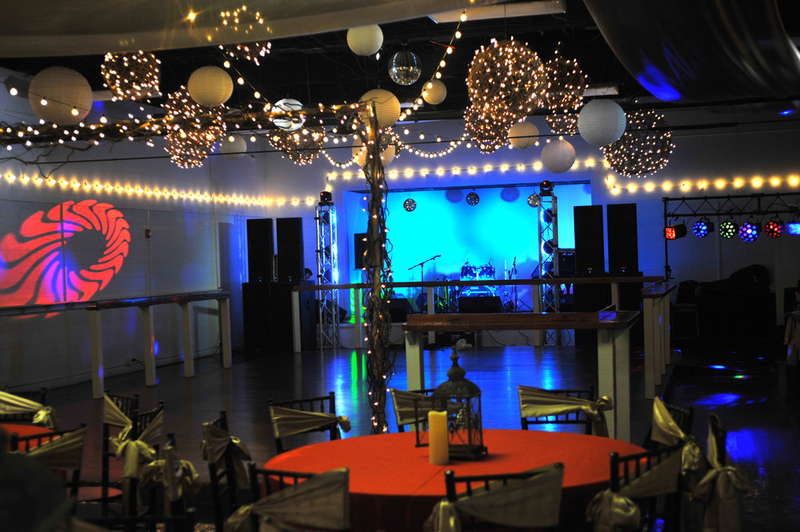 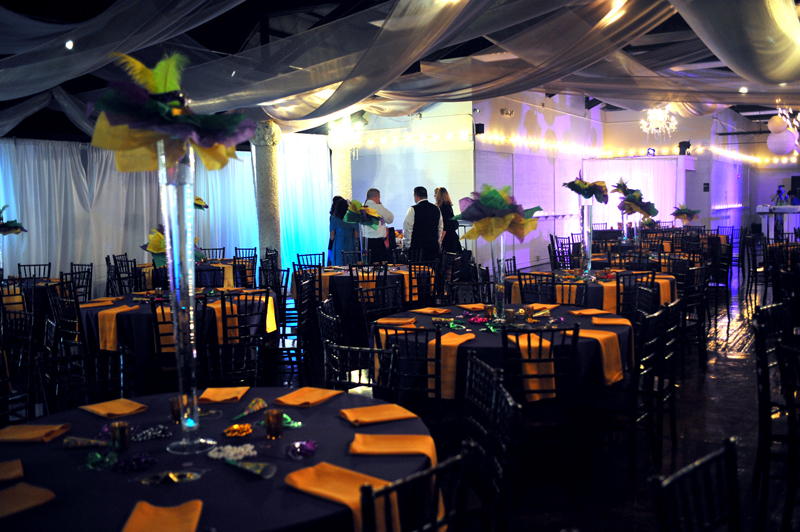 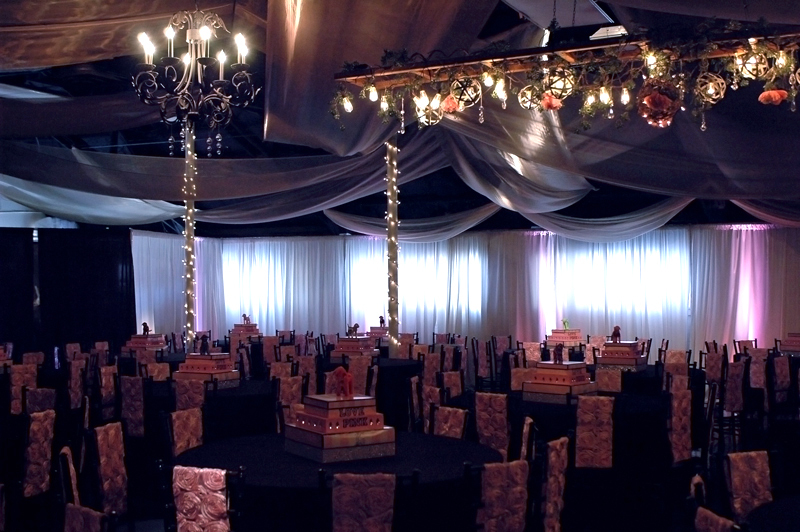 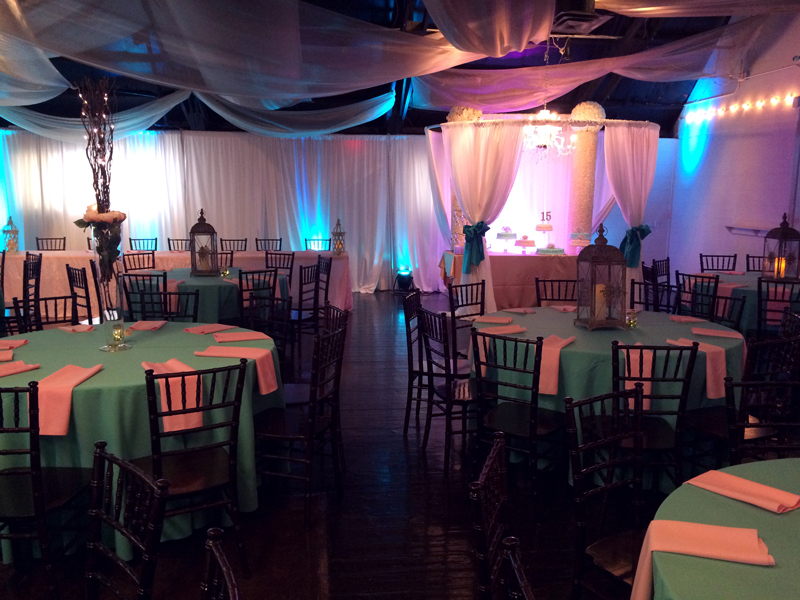 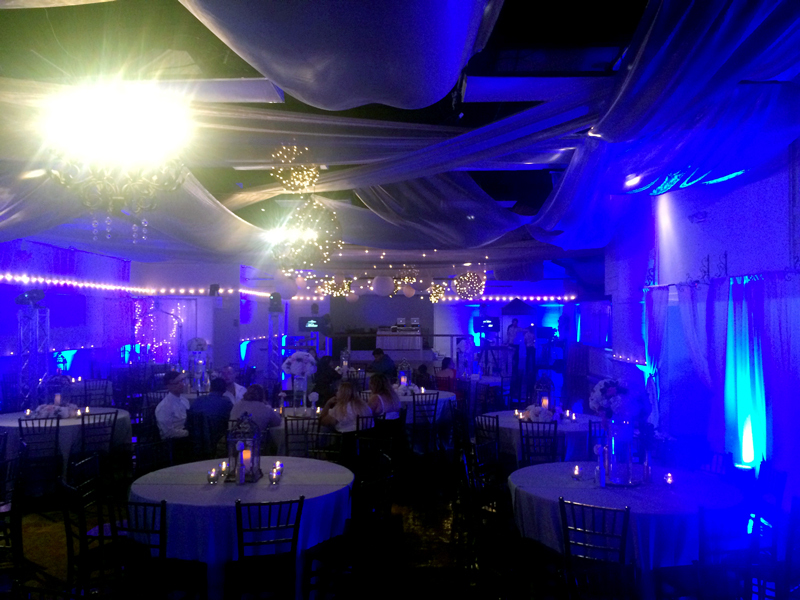 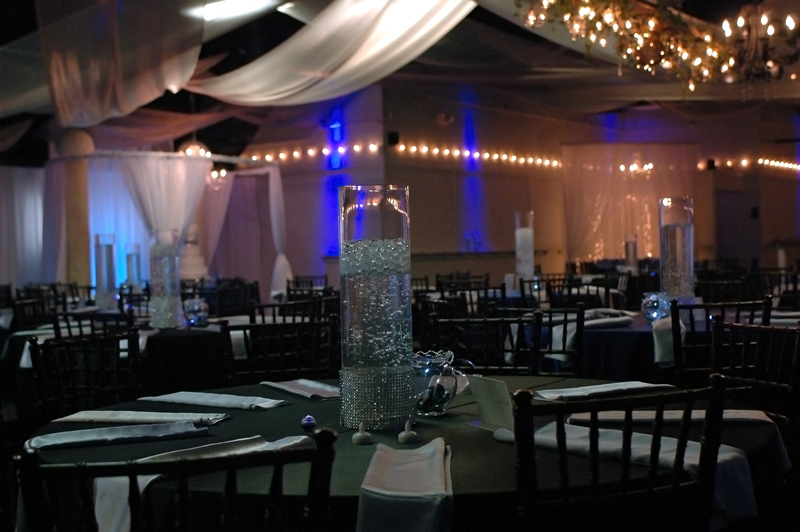 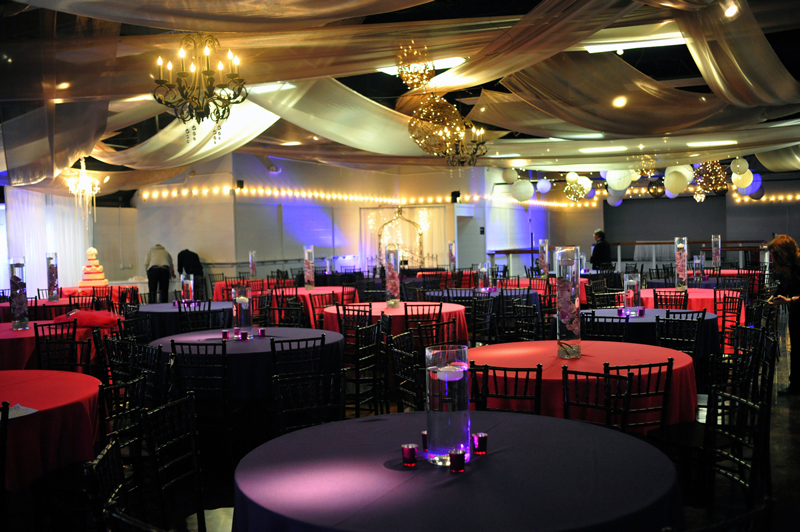 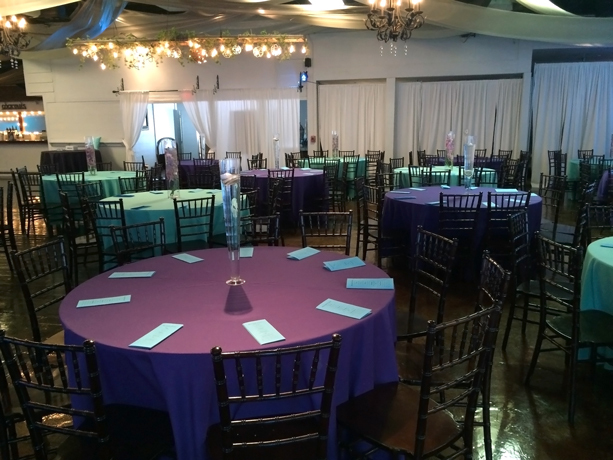 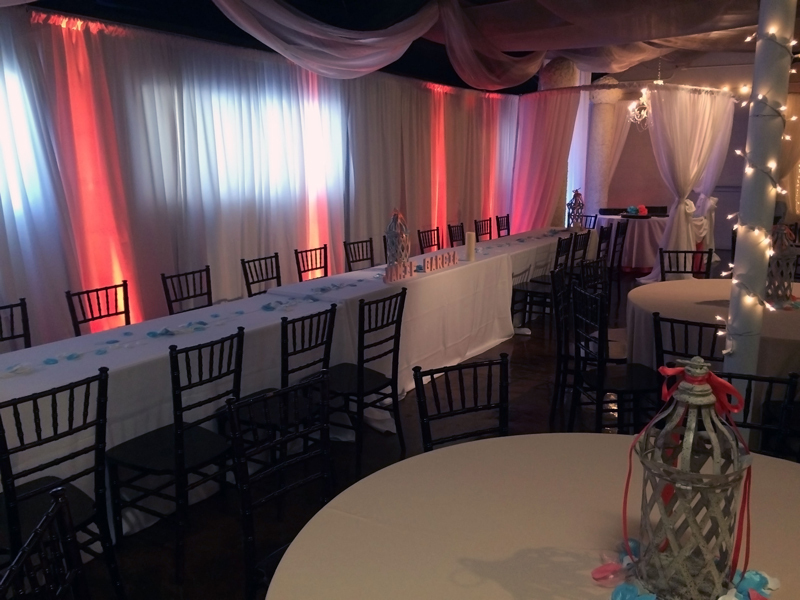 Our reception and event venue is one large room that's decorated with rustic elegance. 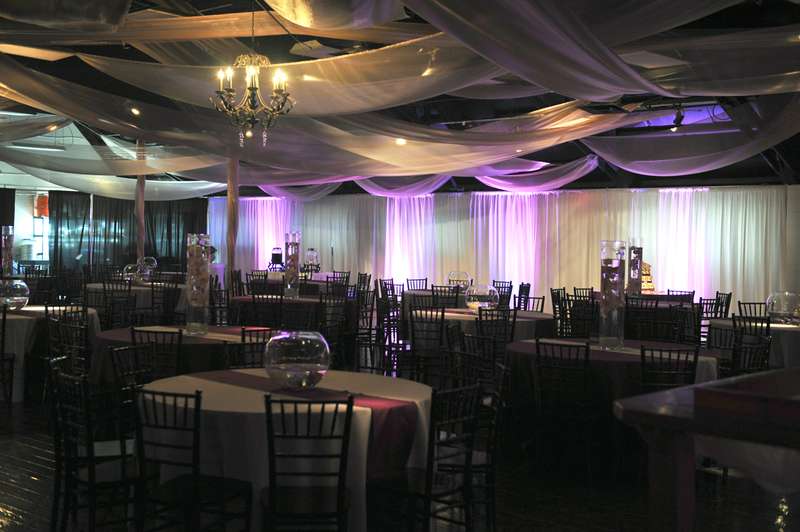 We've added fabric to the walls and overhead, along with beautiful uplighting, several chandeliers and much more. 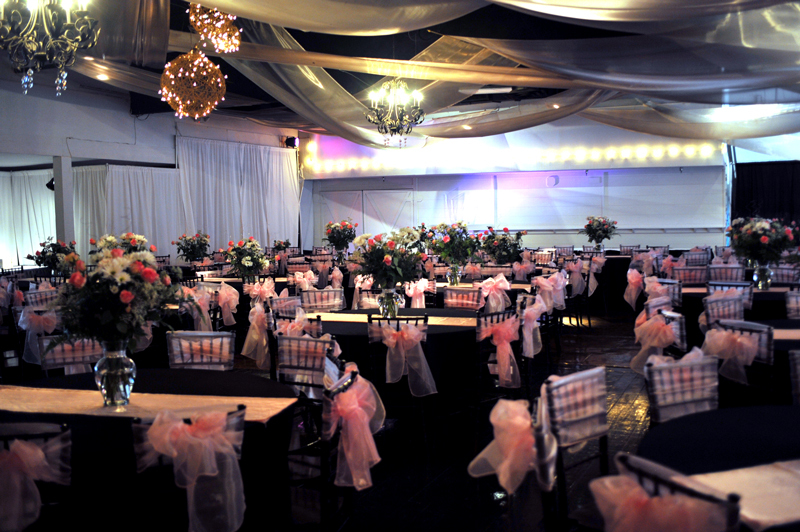 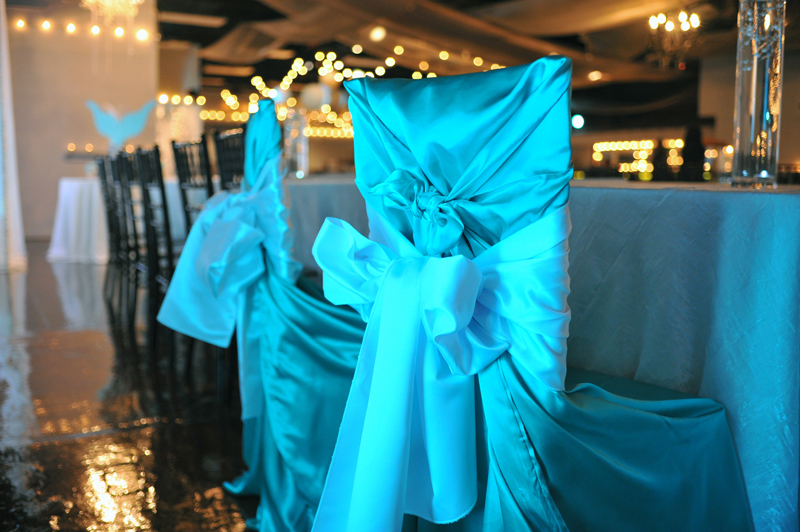 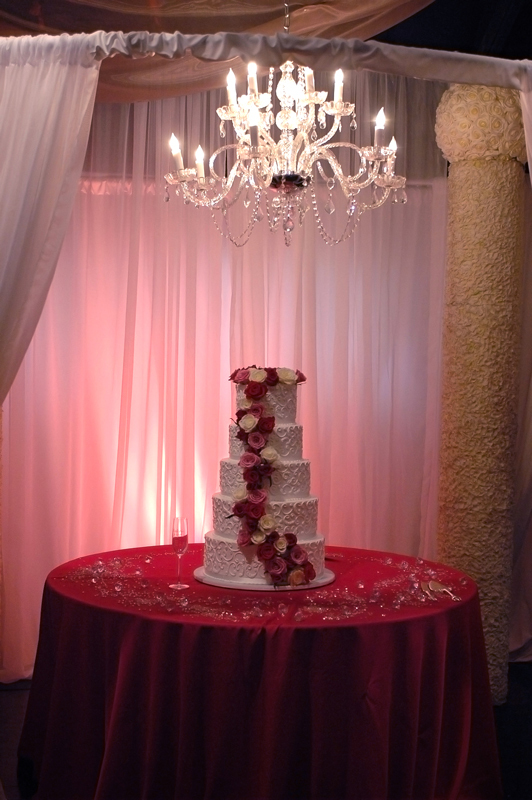 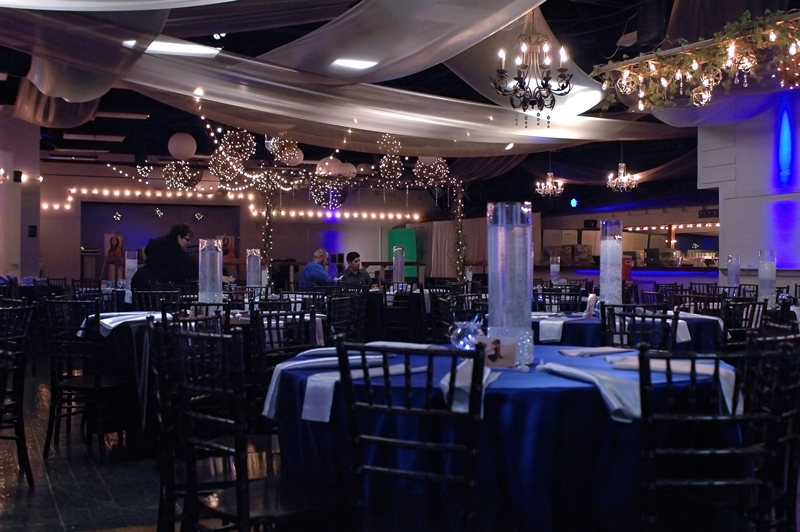 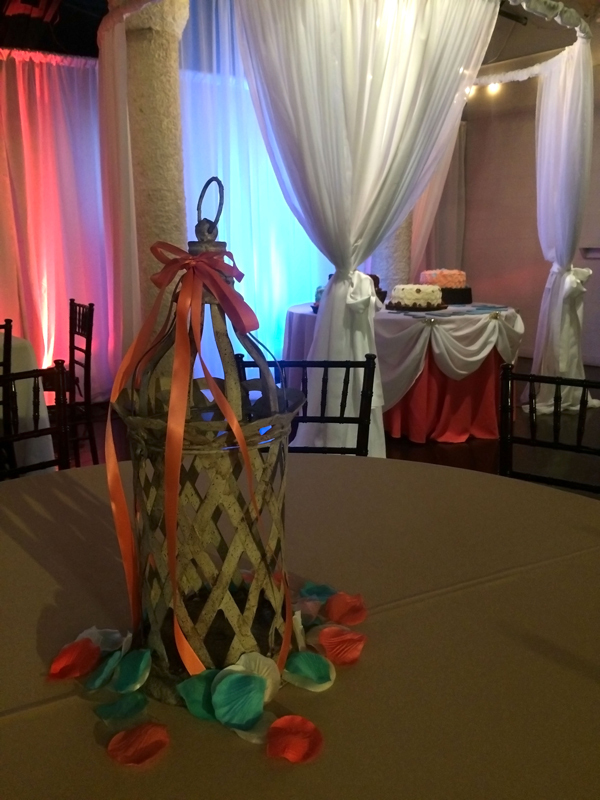 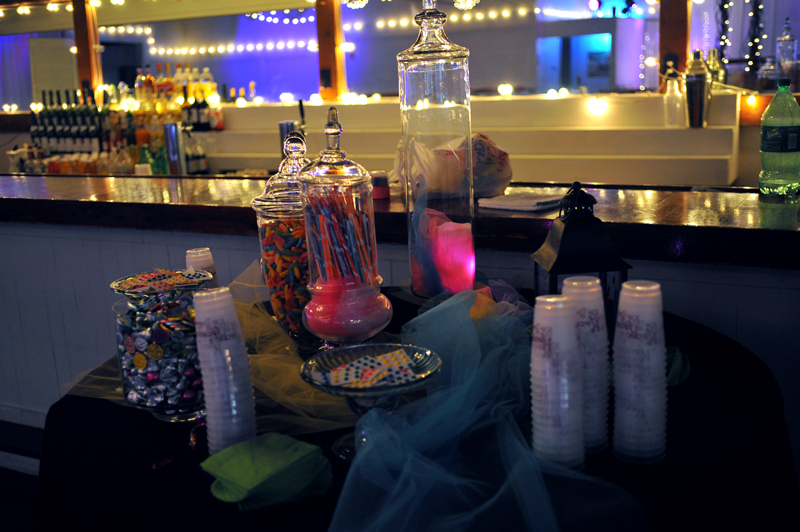 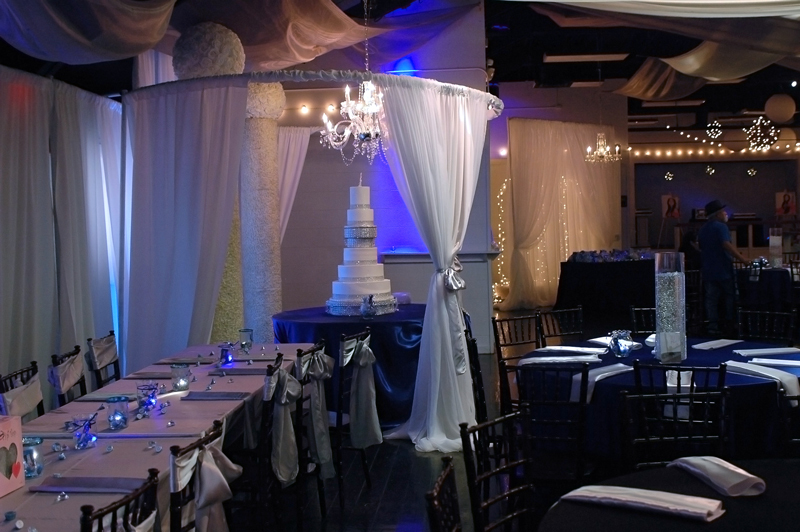 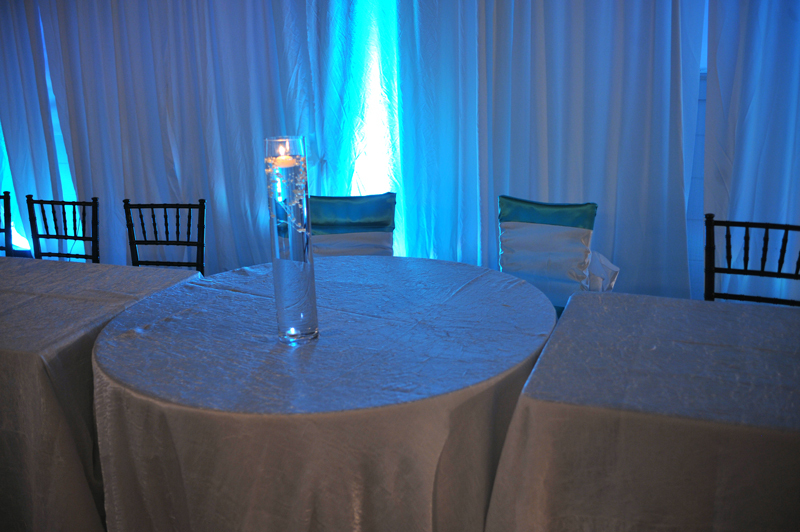 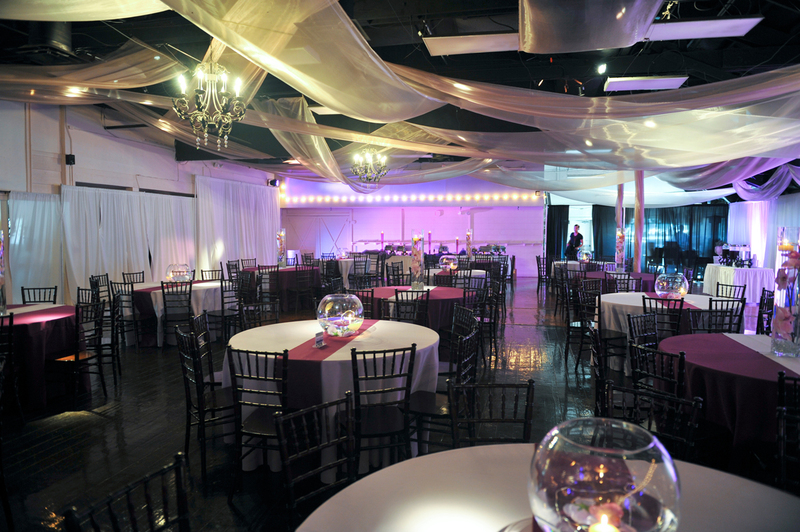 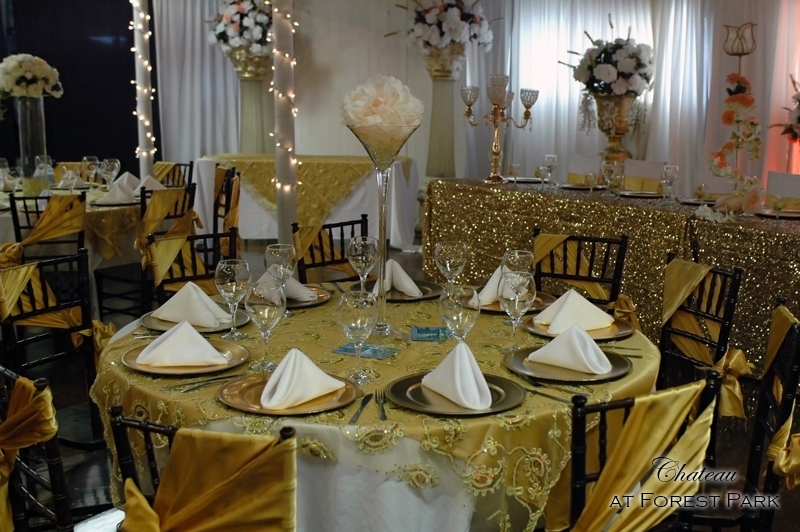 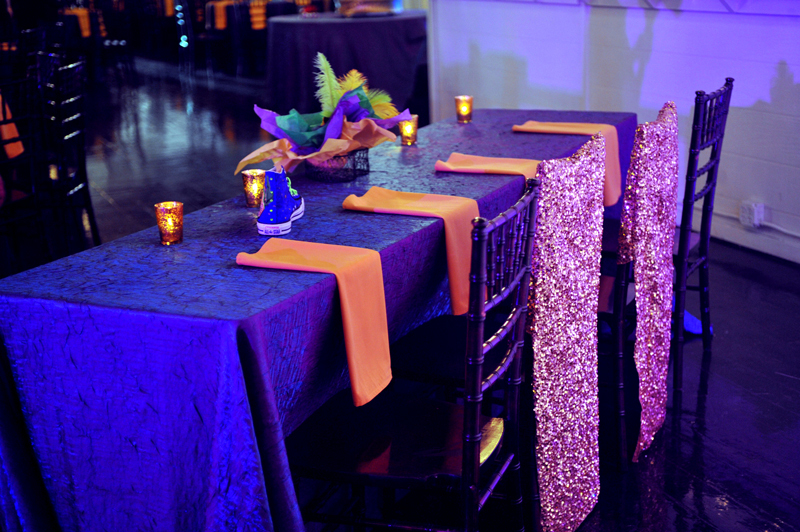 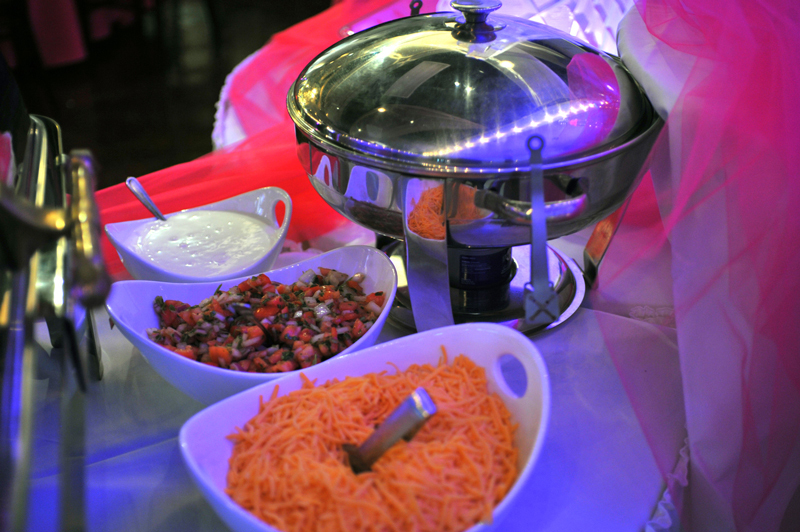 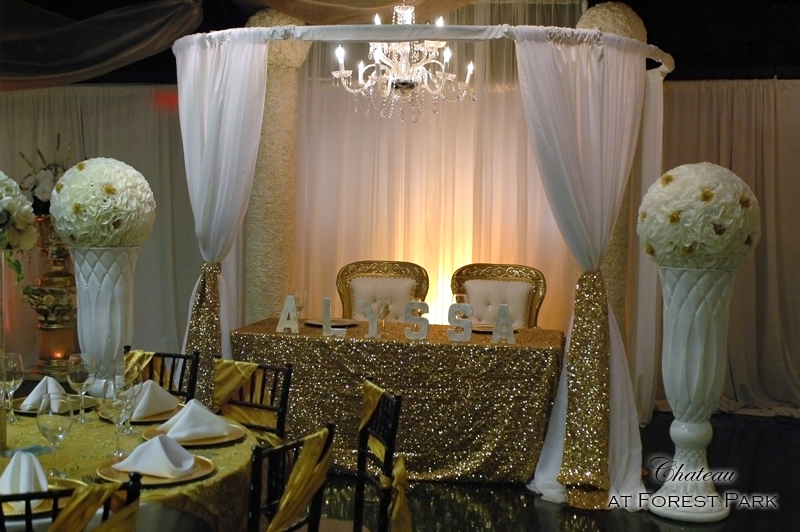 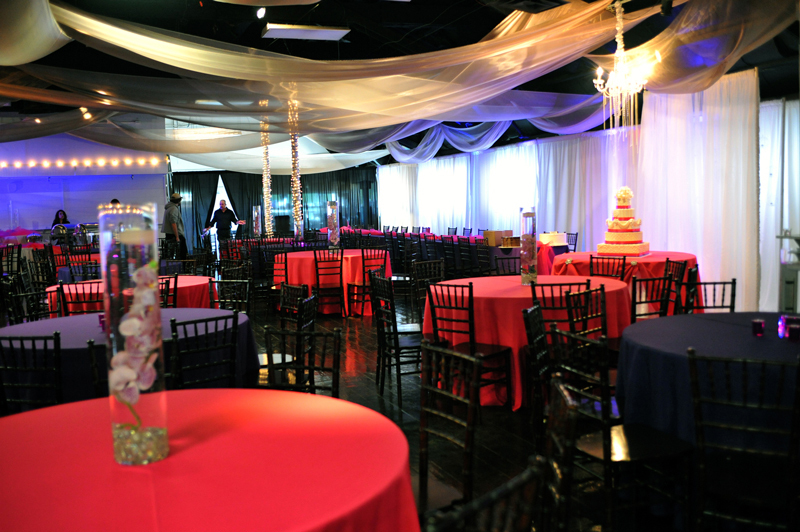 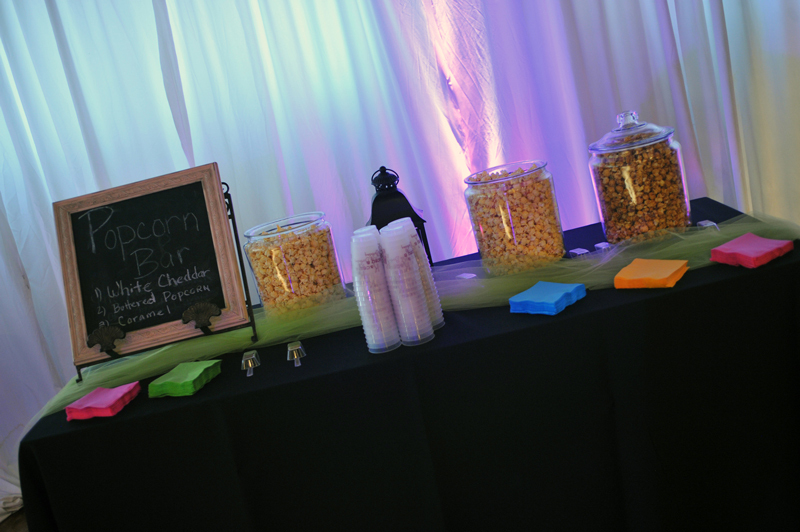 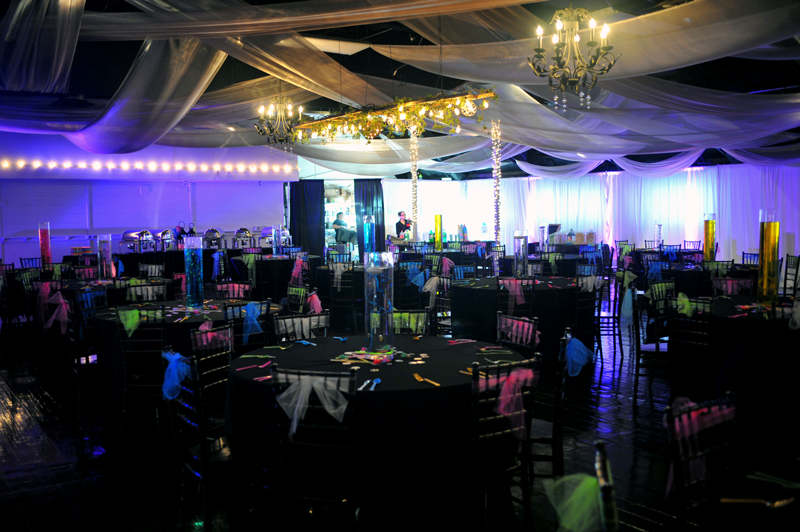 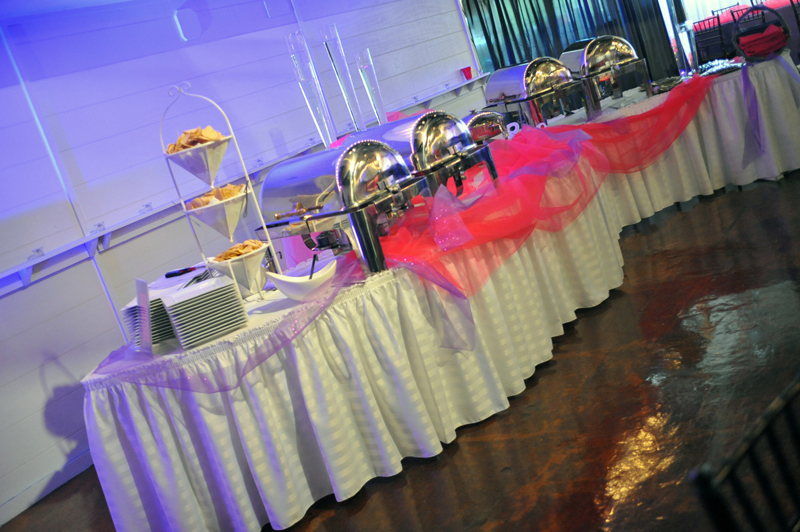 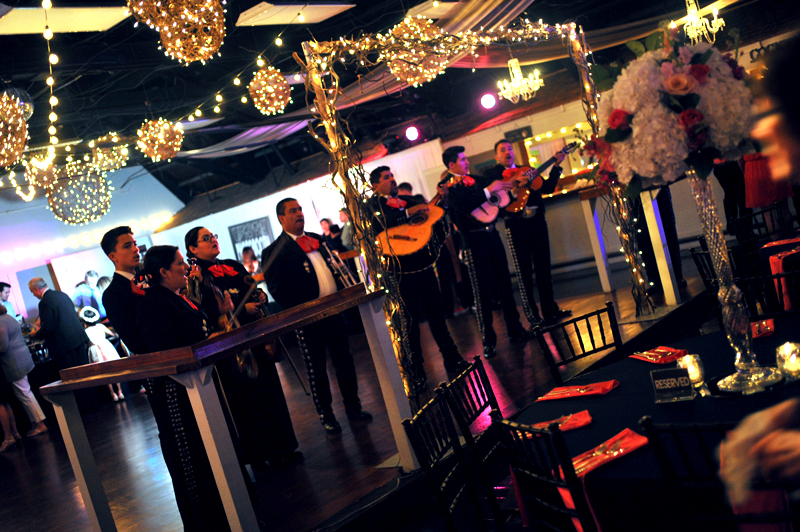 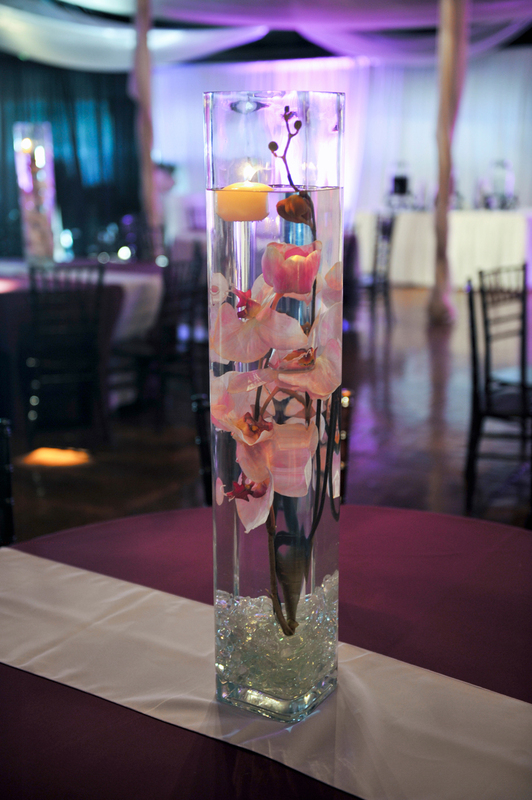 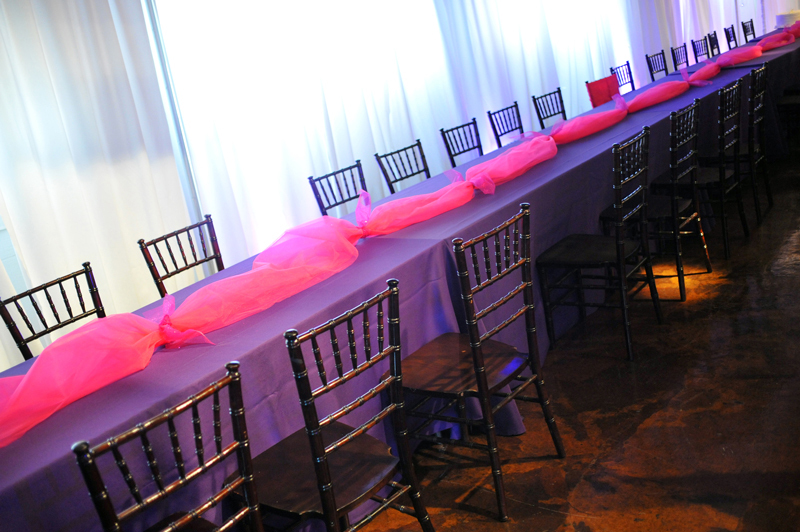 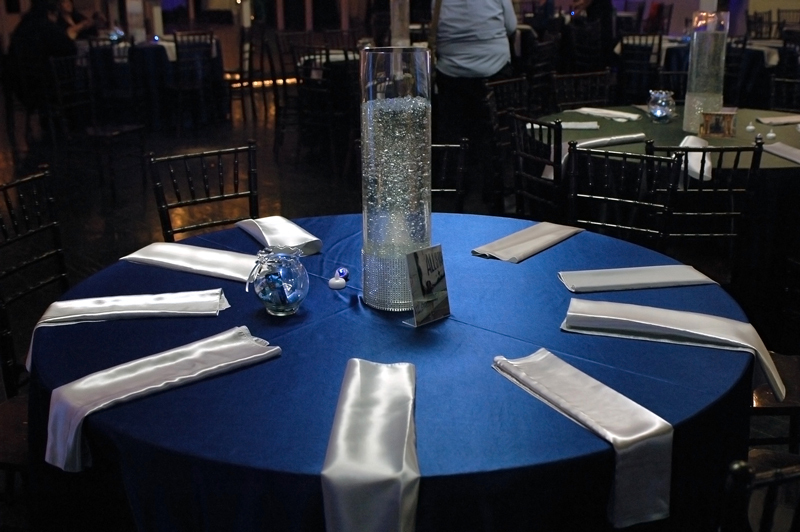 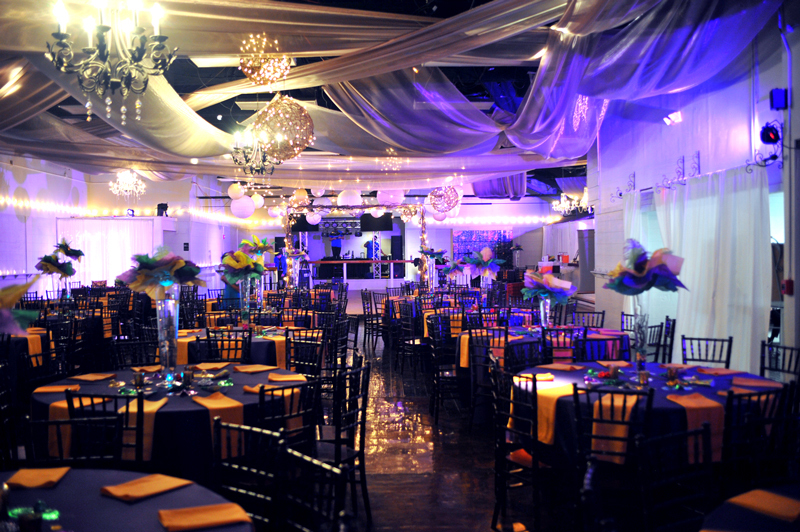 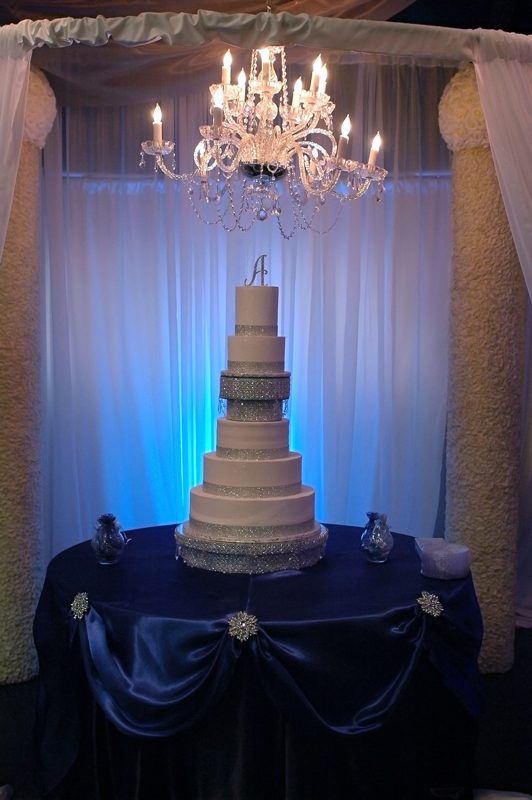 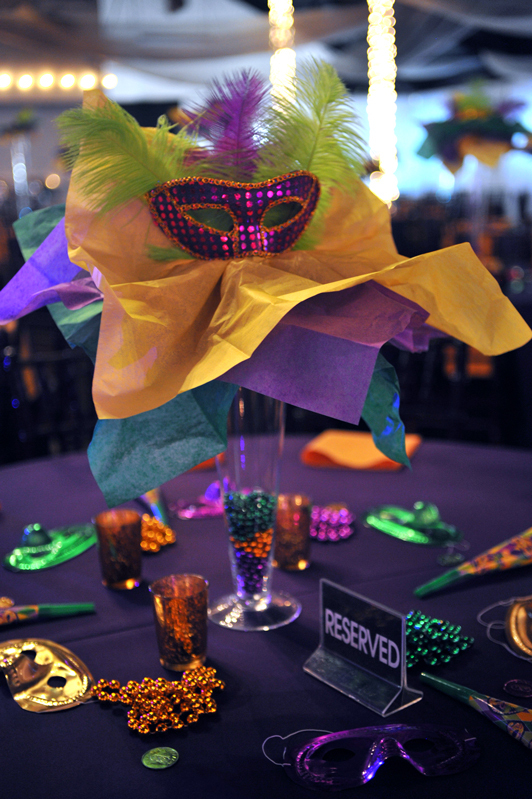 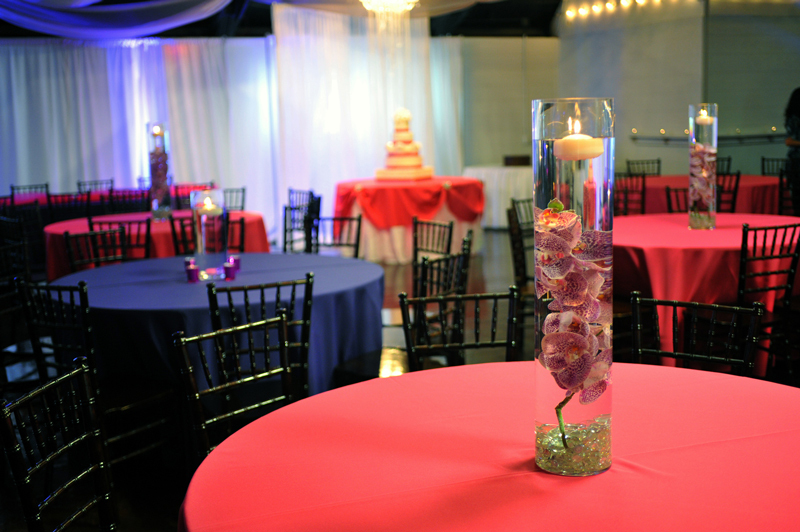 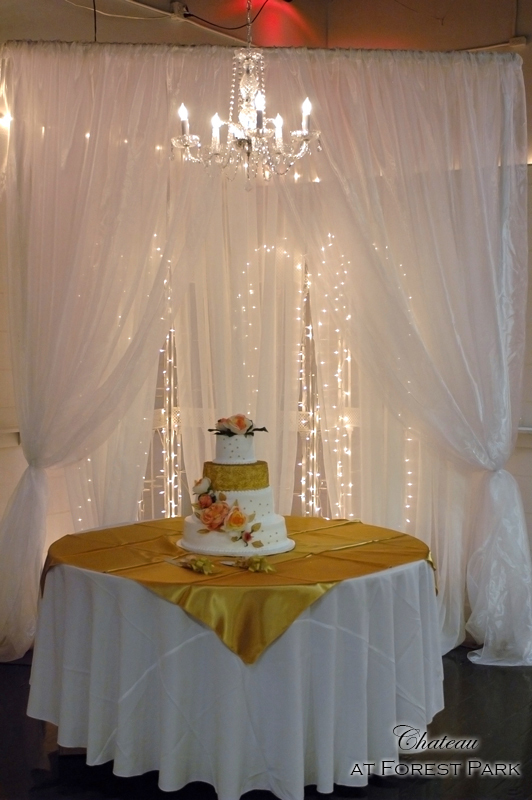 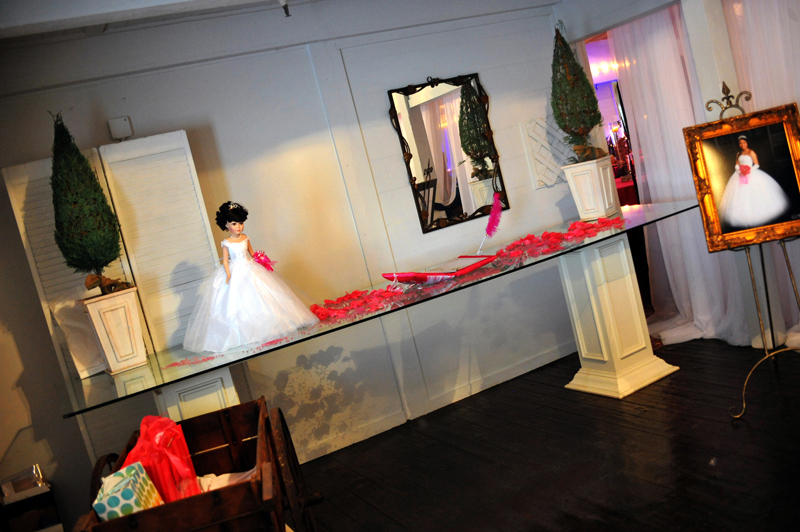 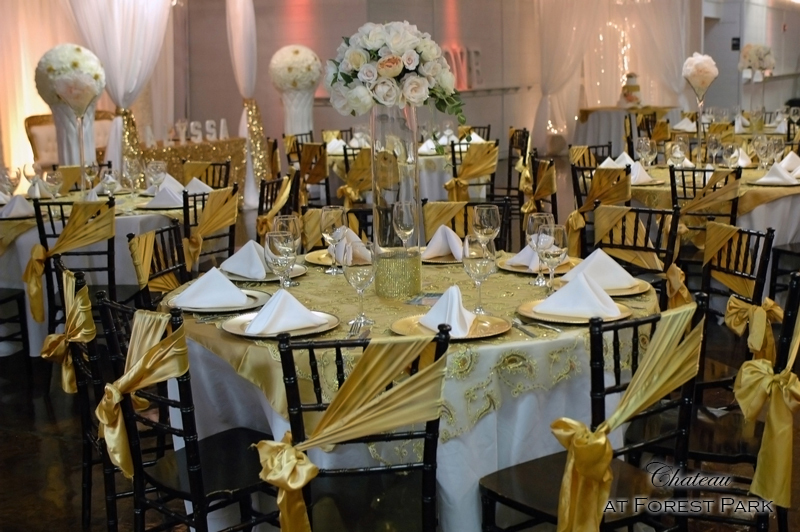 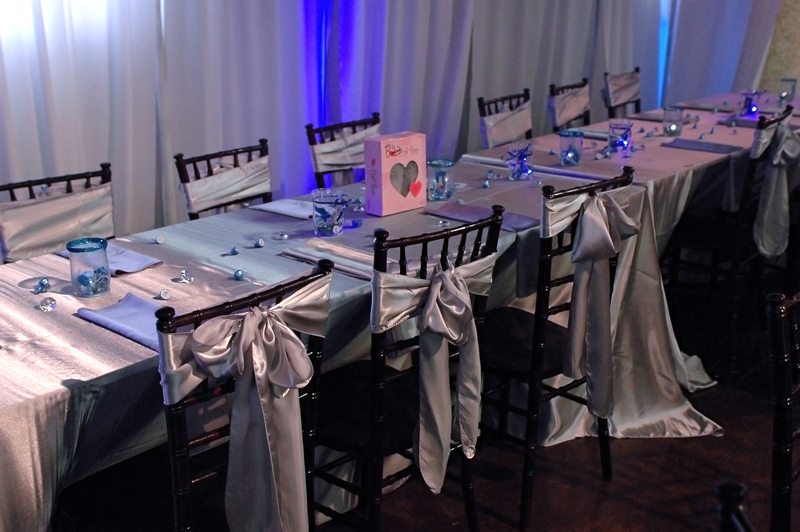 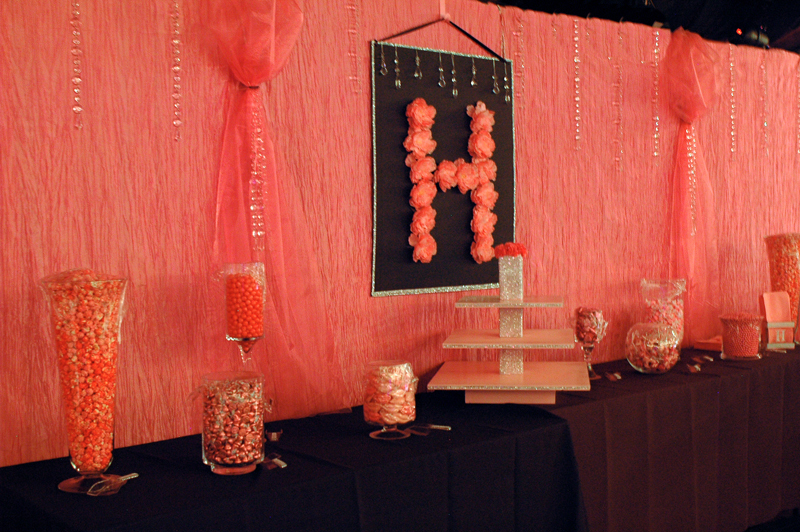 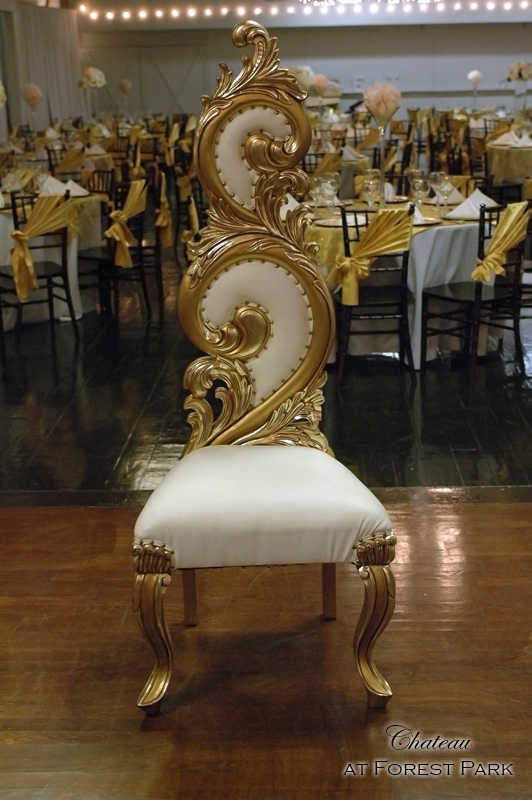 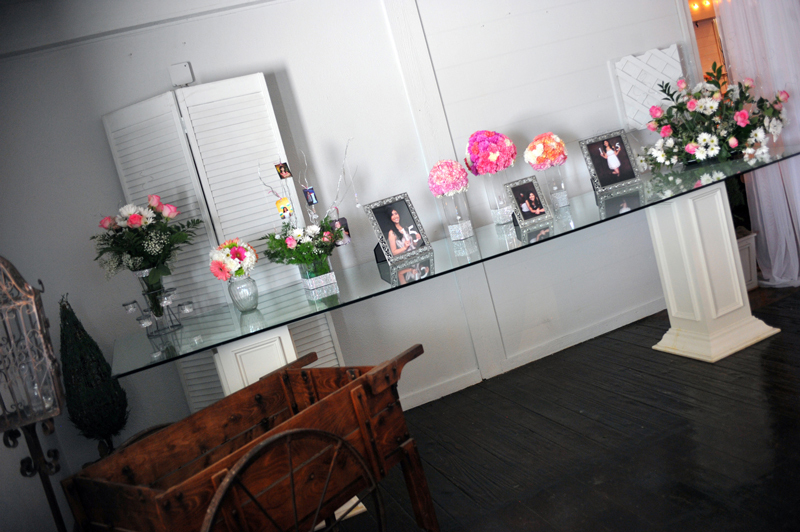 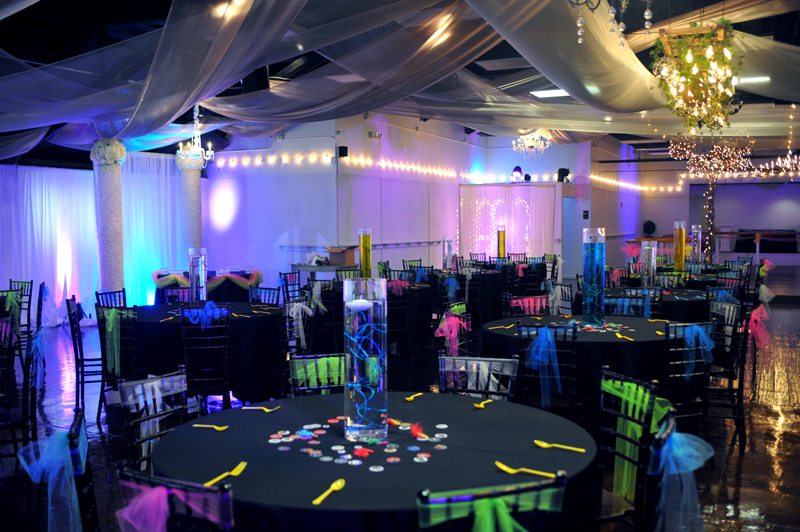 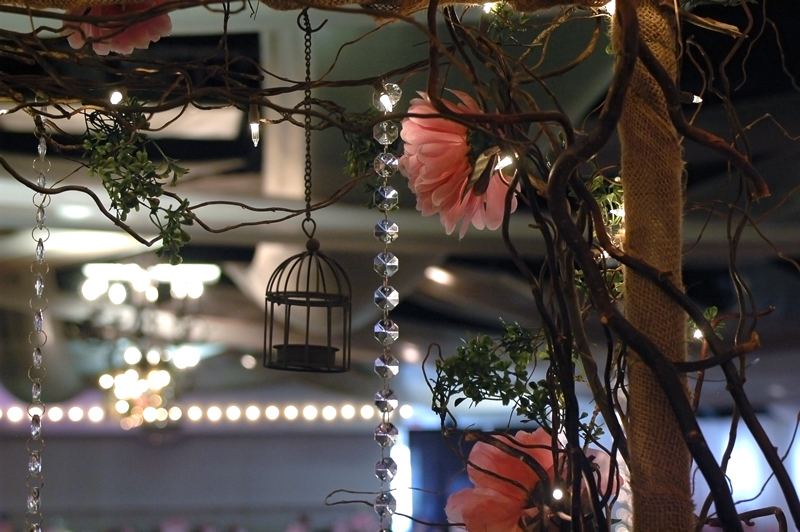 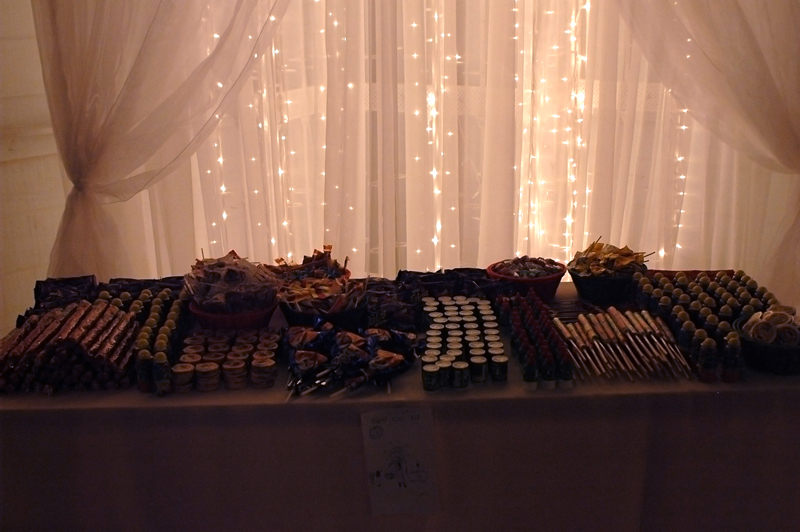 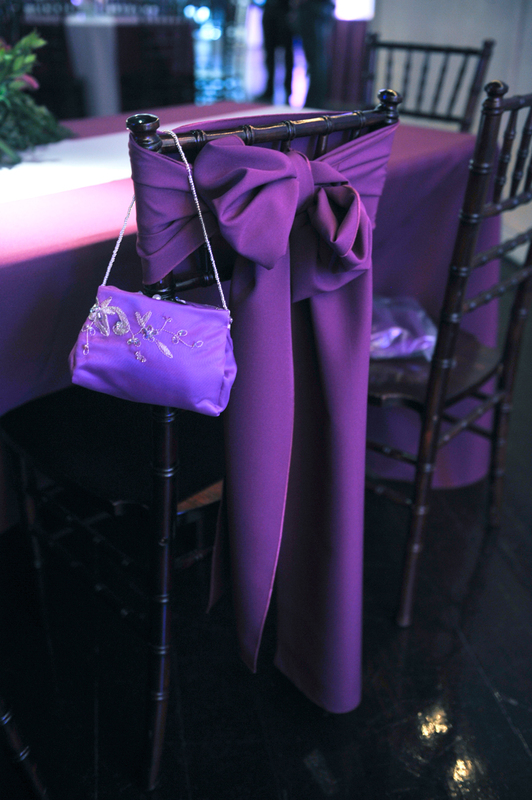 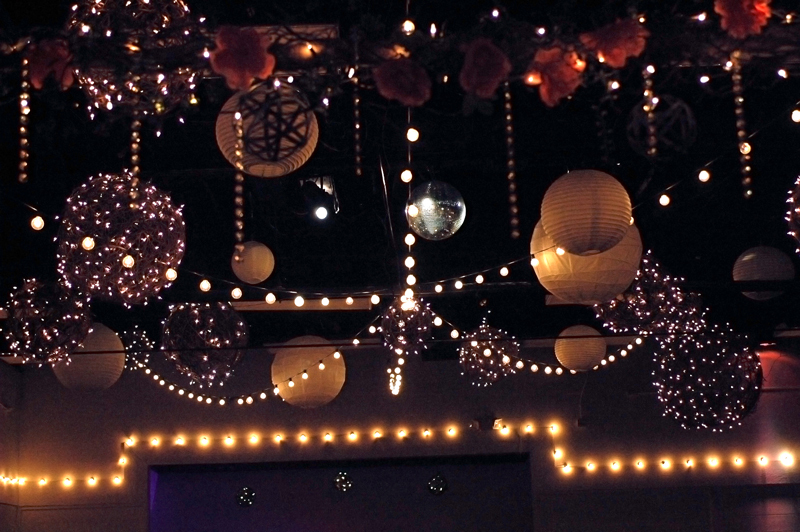 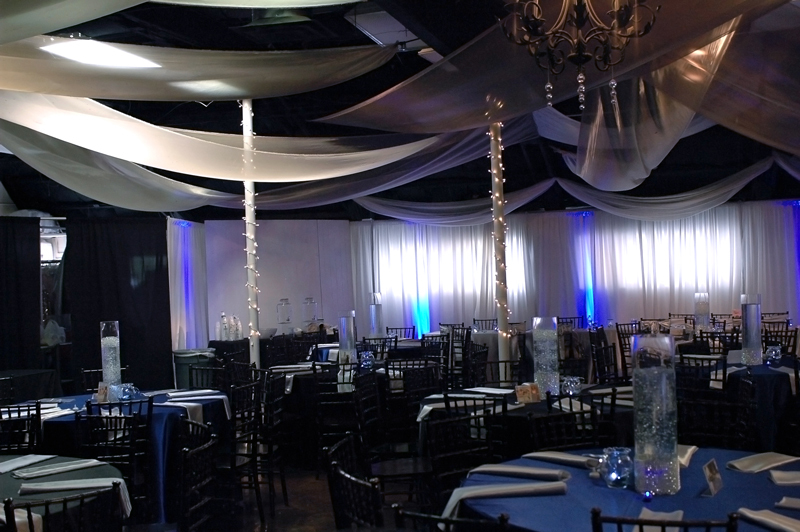 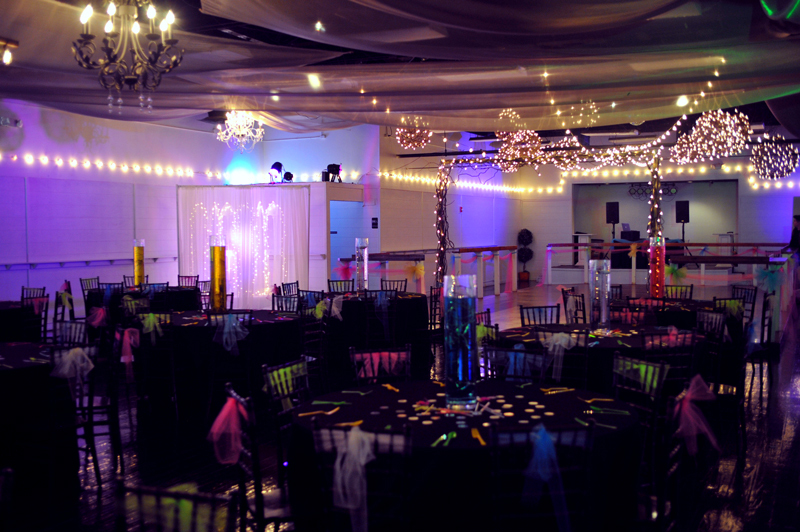 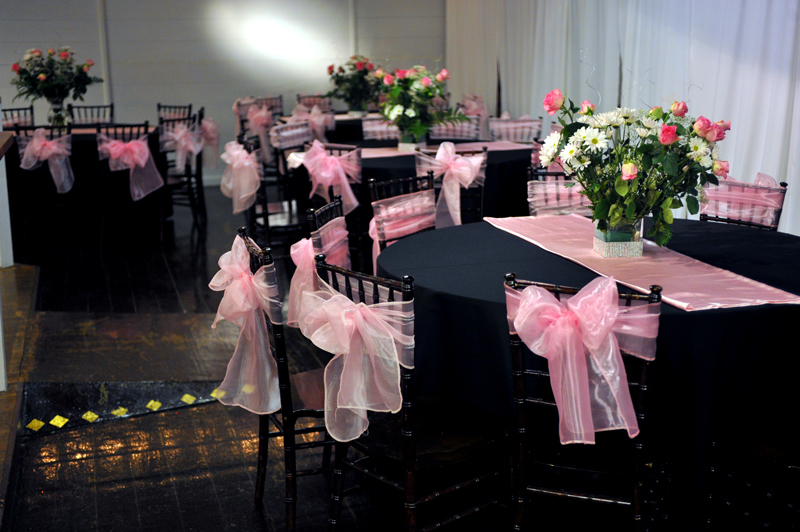 Our reception venue comes with LOTS of decor, so your decorating costs can be kept to a minimum. 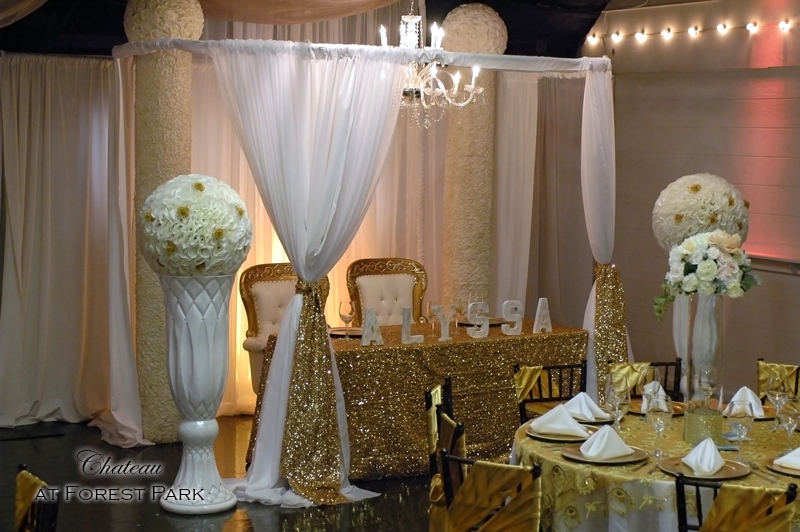 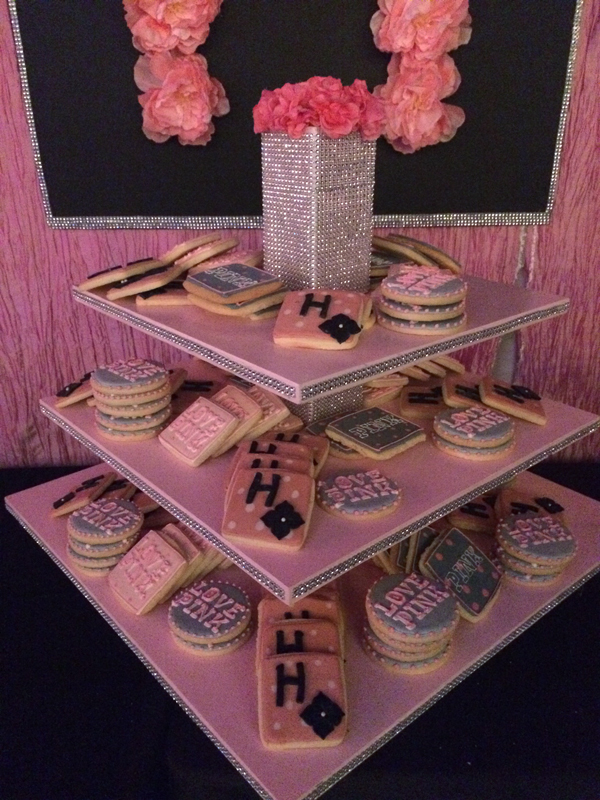 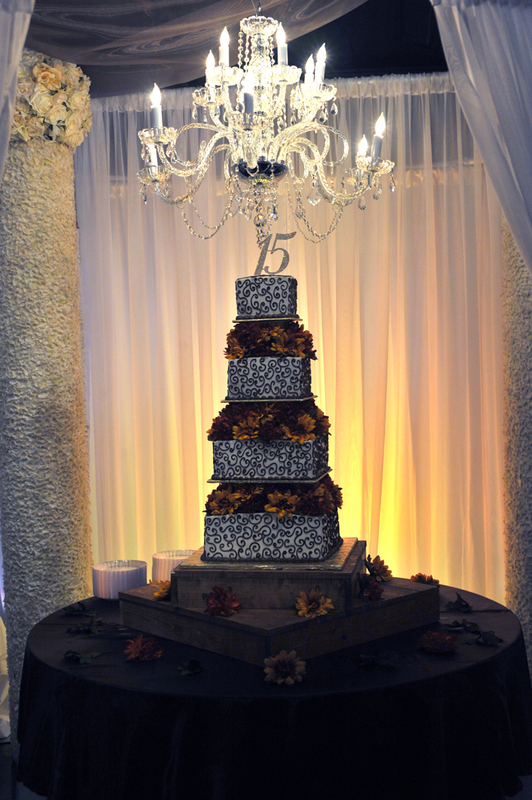 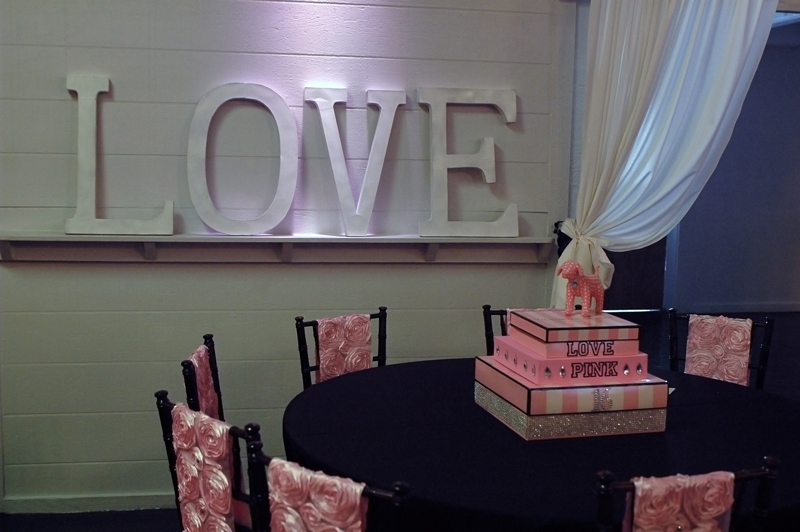 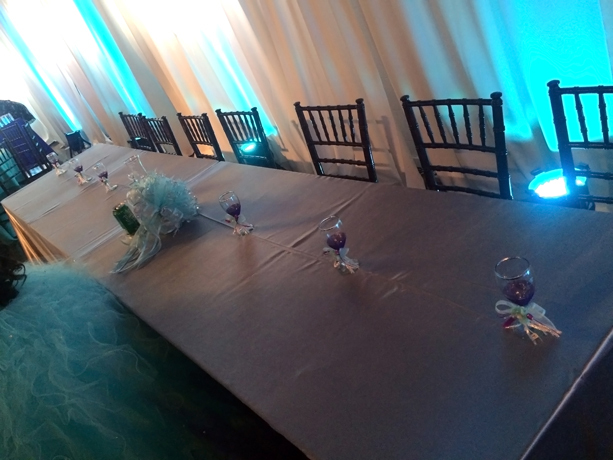 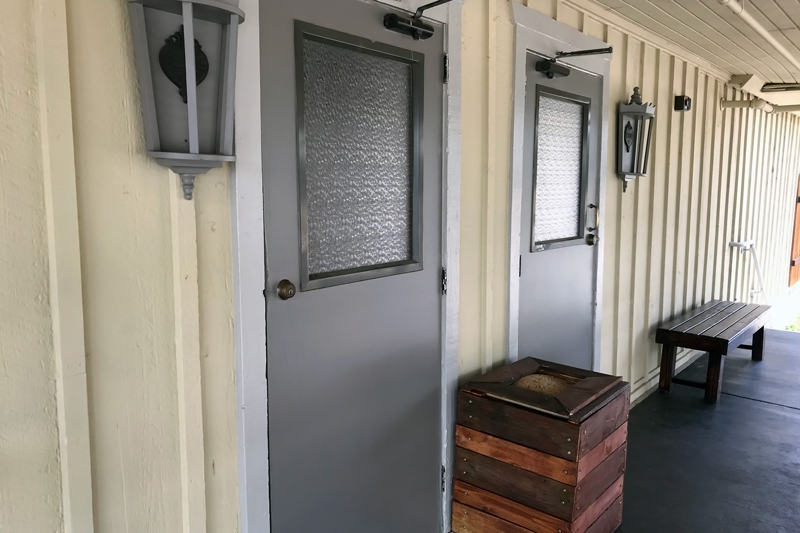 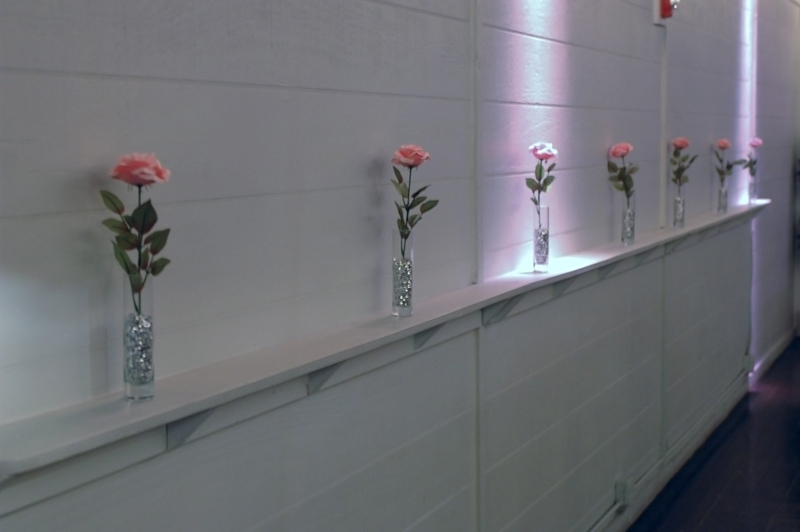 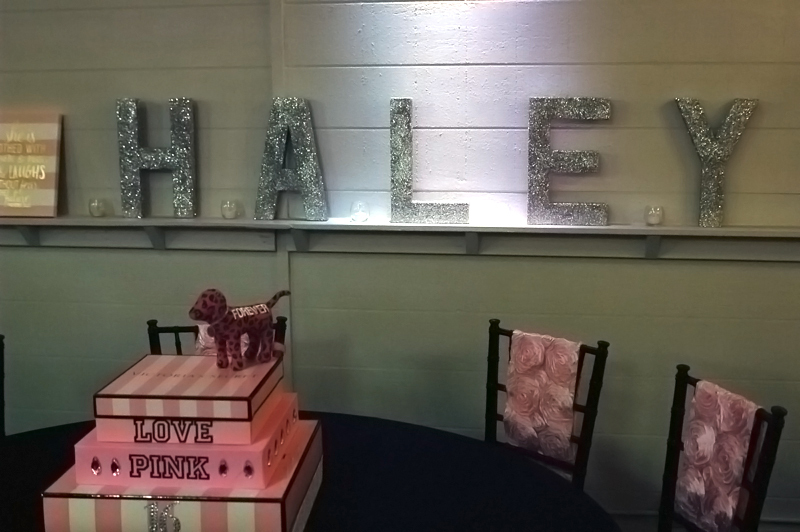 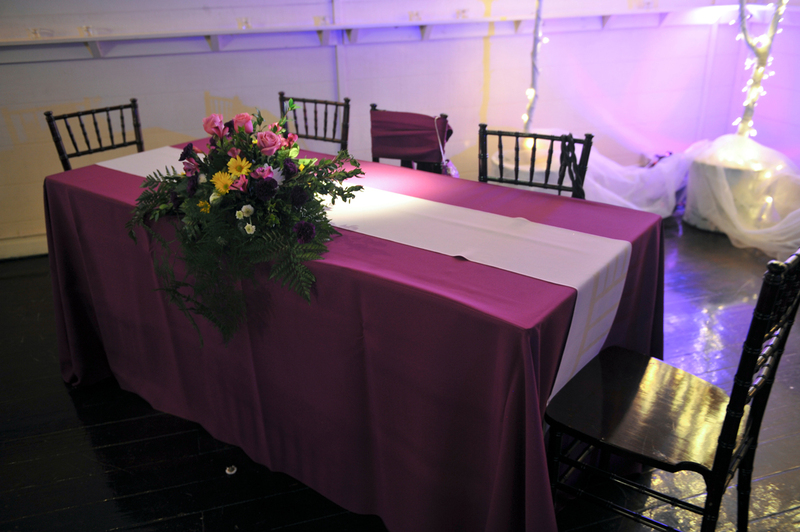 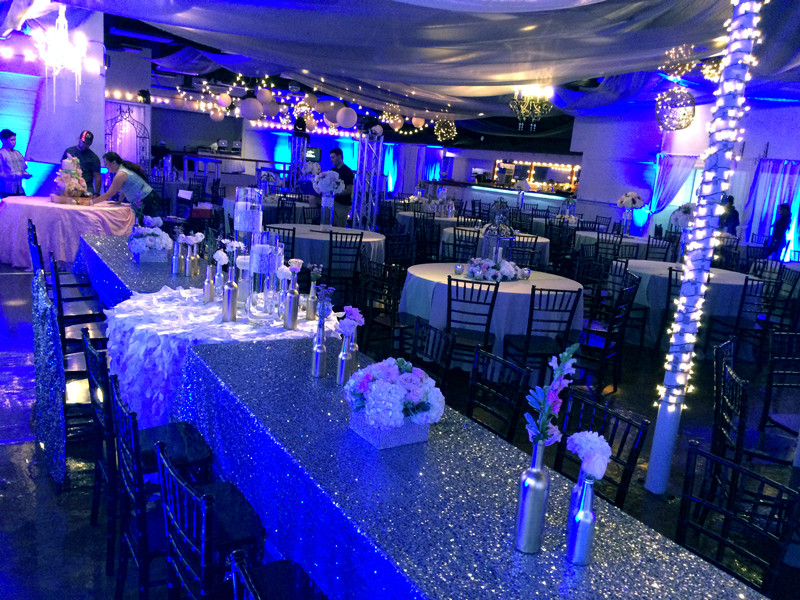 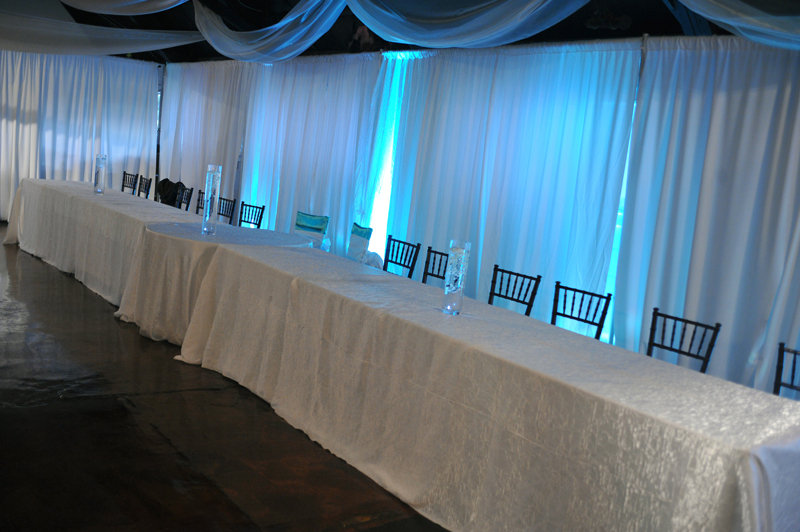 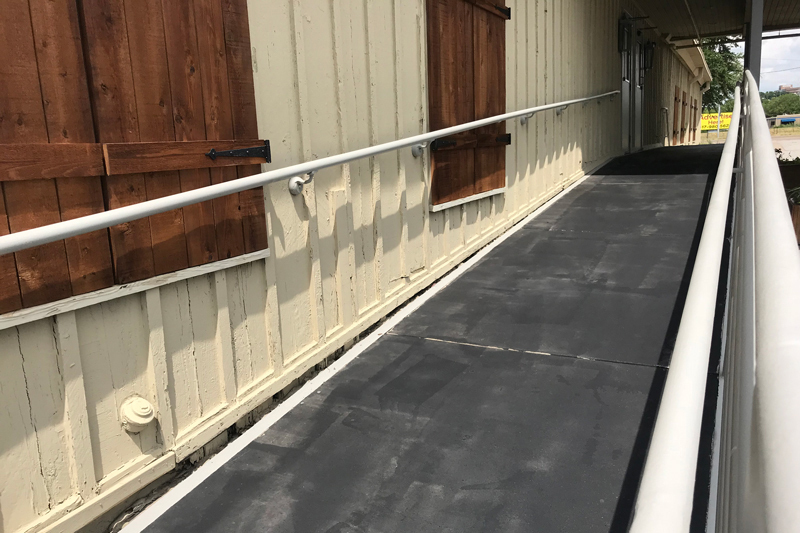 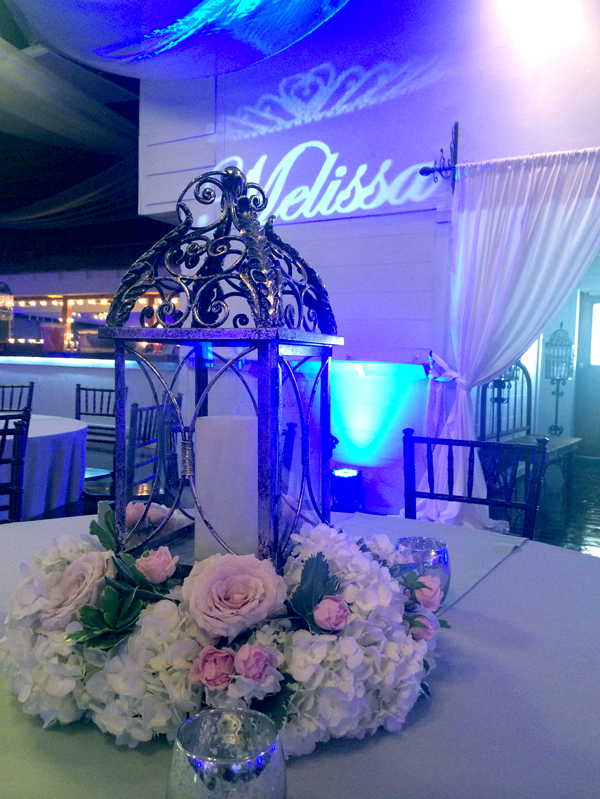 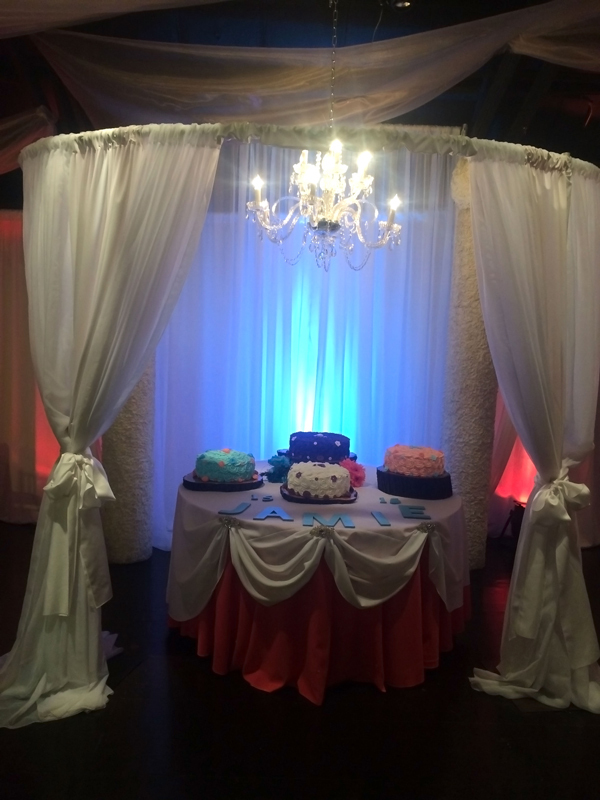 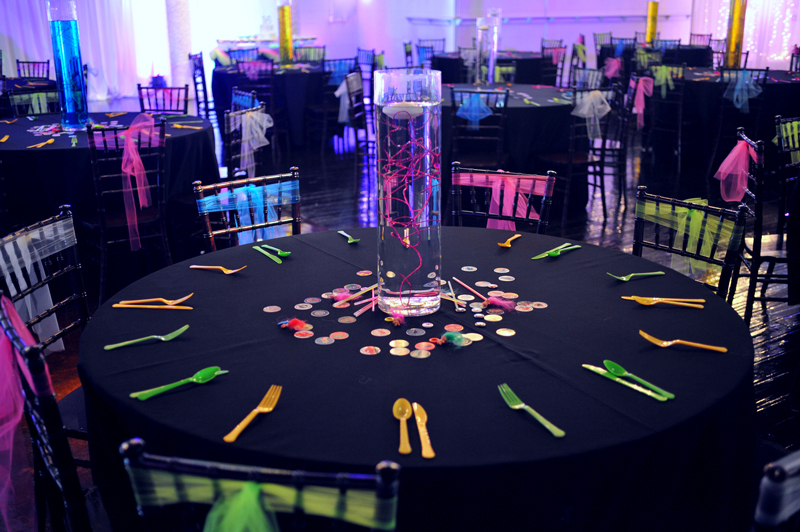 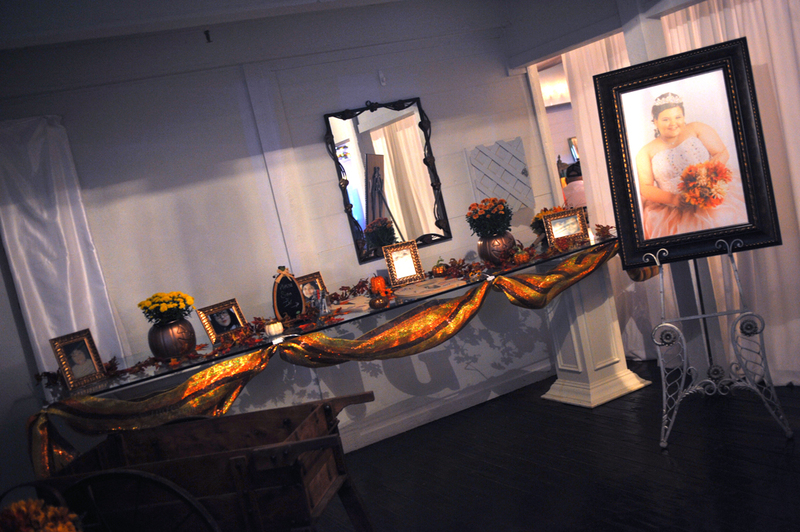 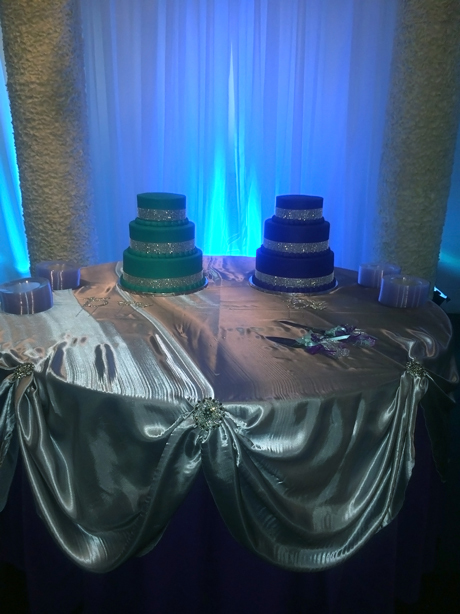 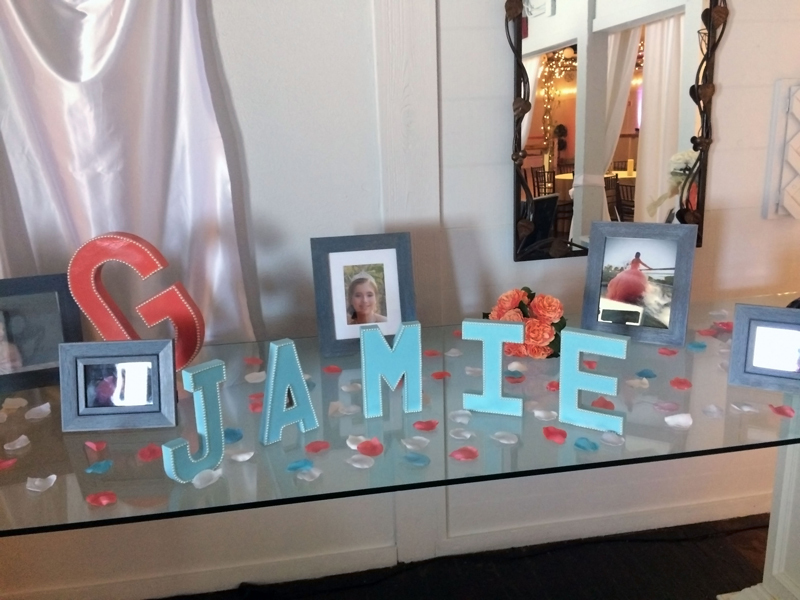 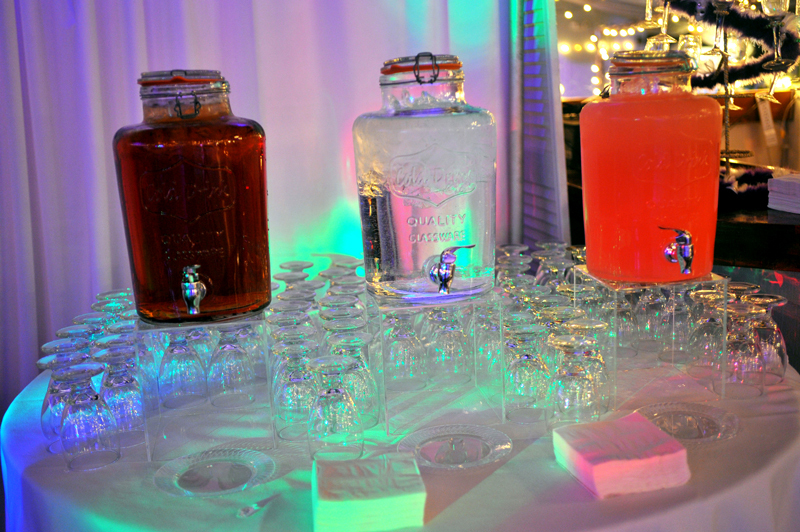 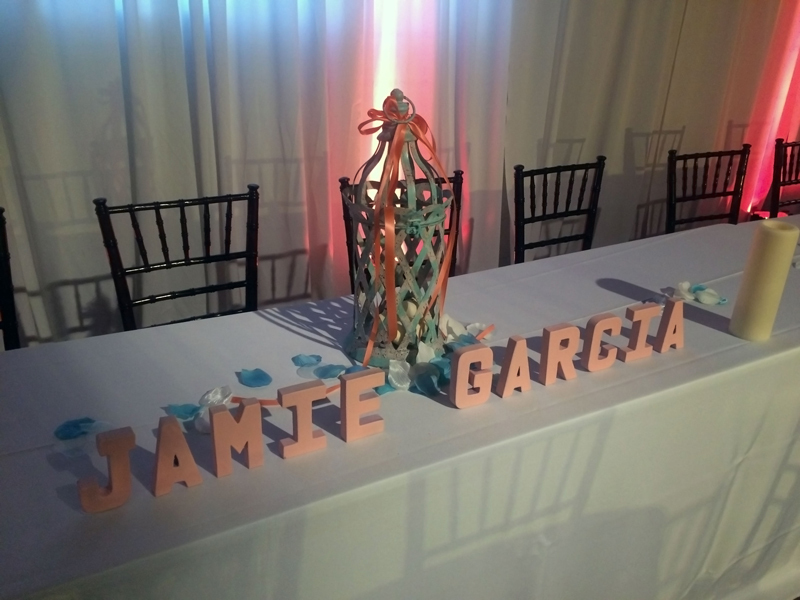 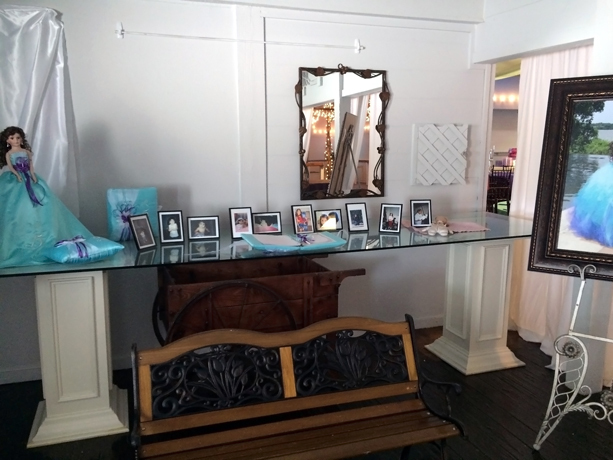 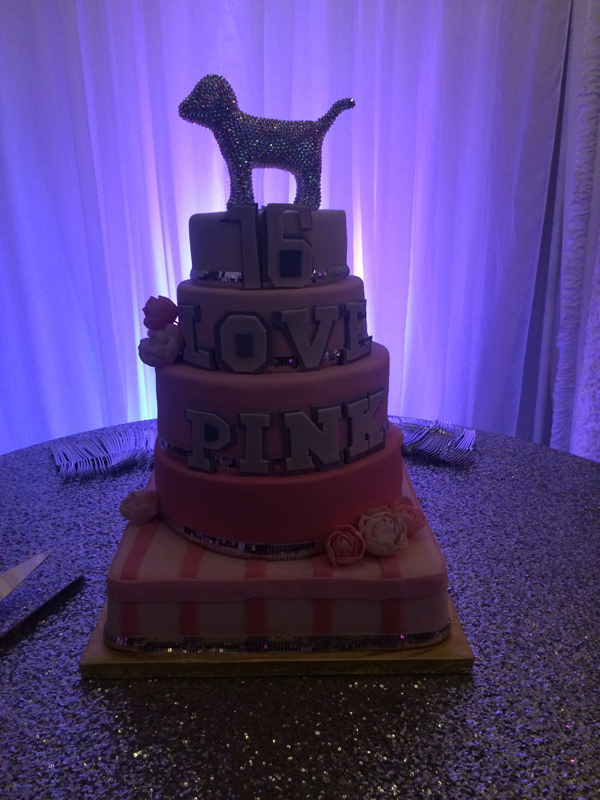 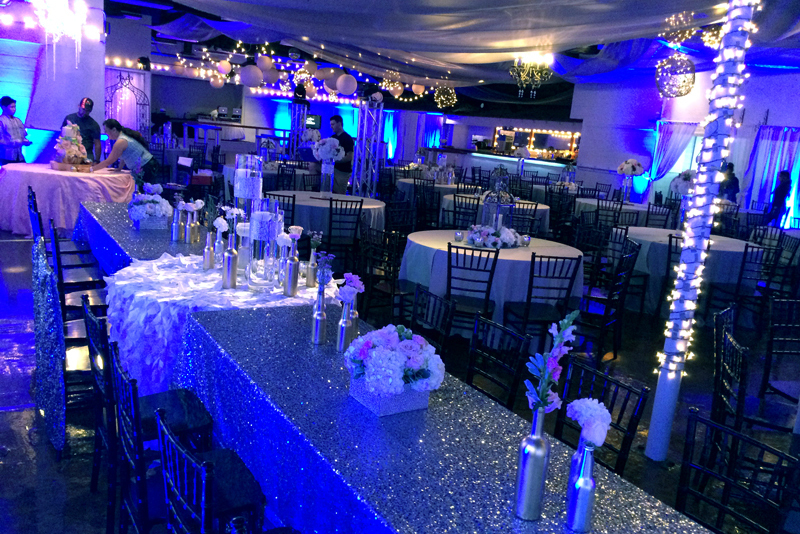 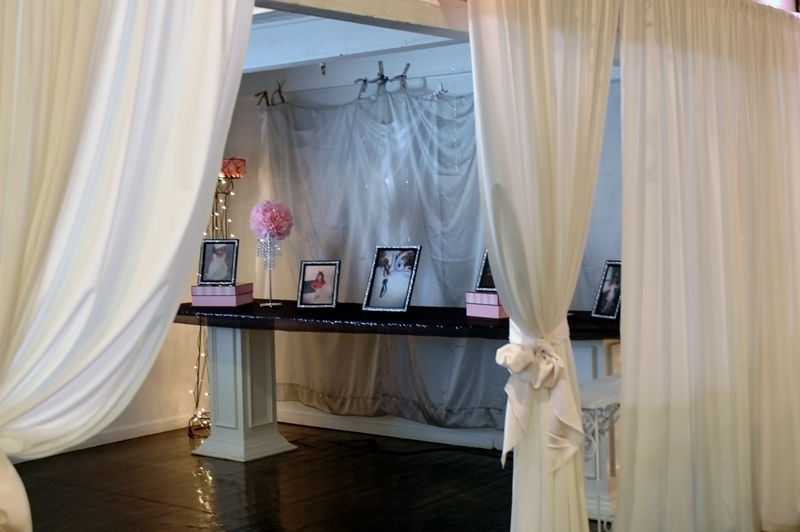 We encourage you to add your own DYI touches and personalize our venue. 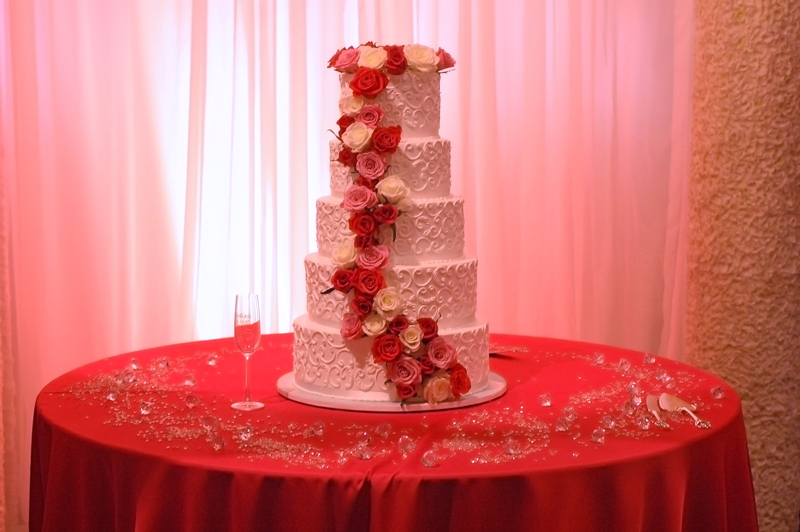 Should video not load properly, please refresh the page. 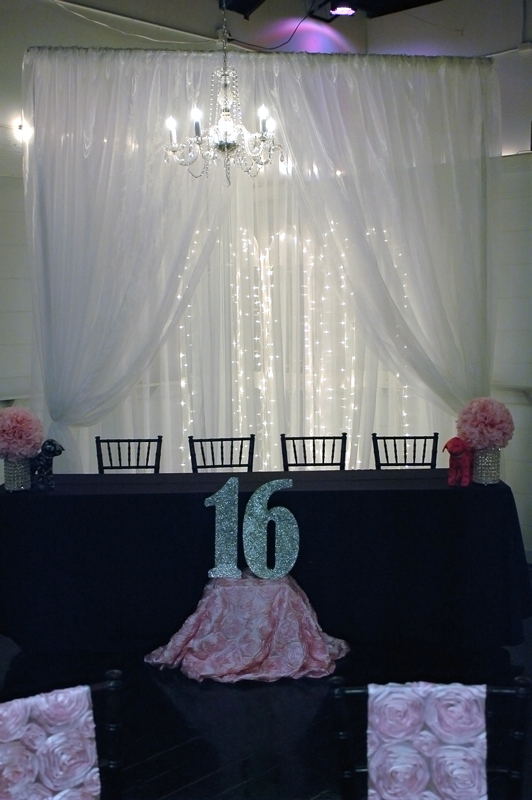 Check out our beautiful decor that's included.